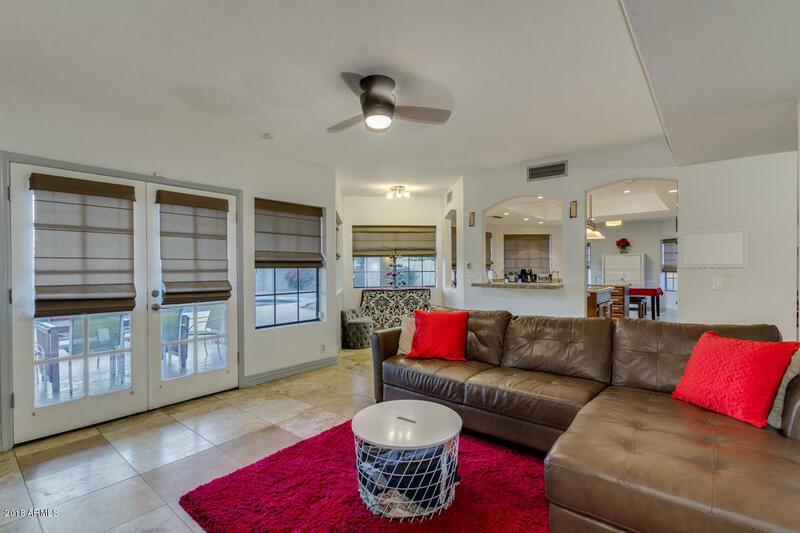 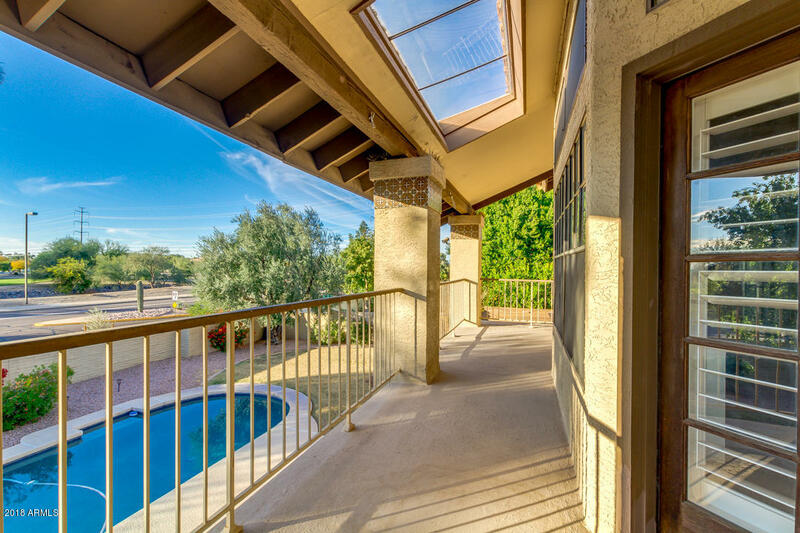 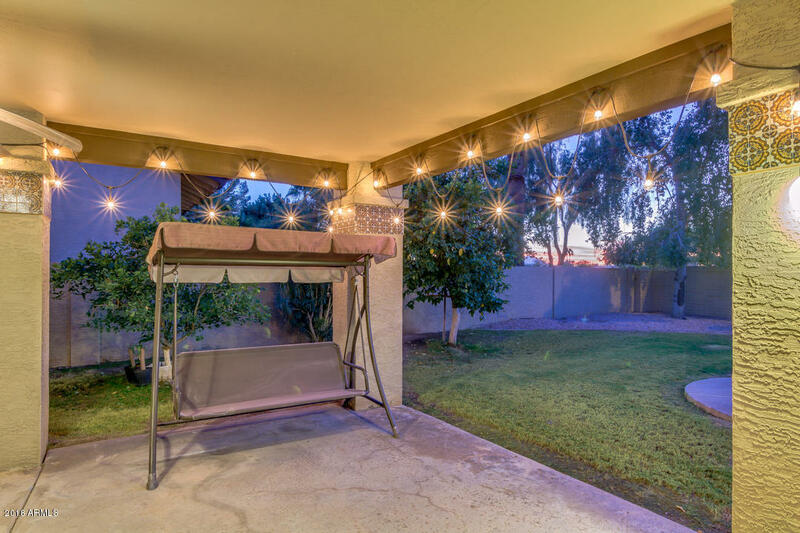 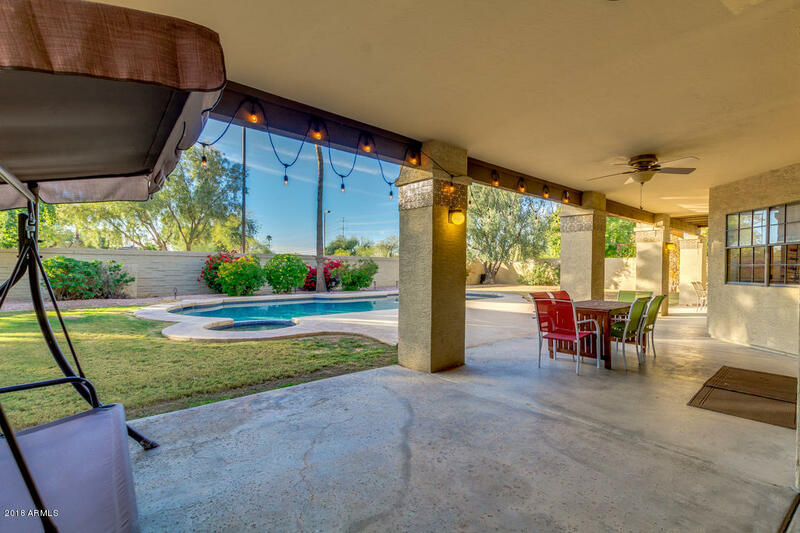 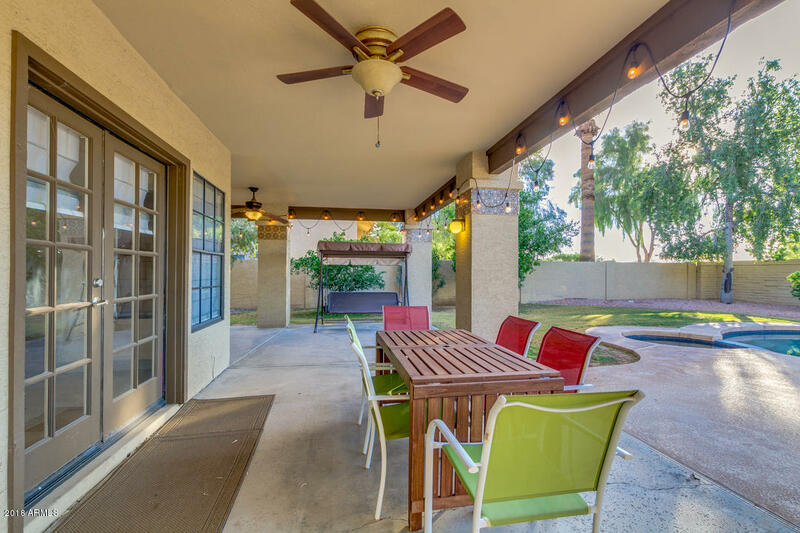 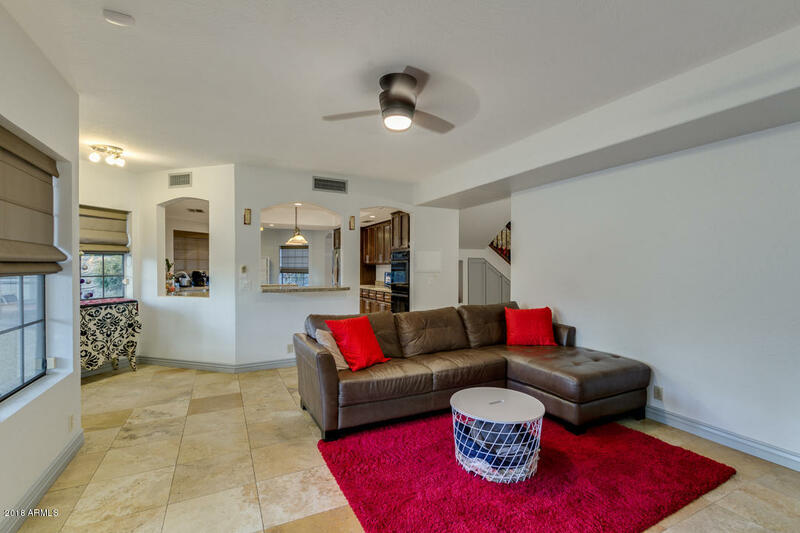 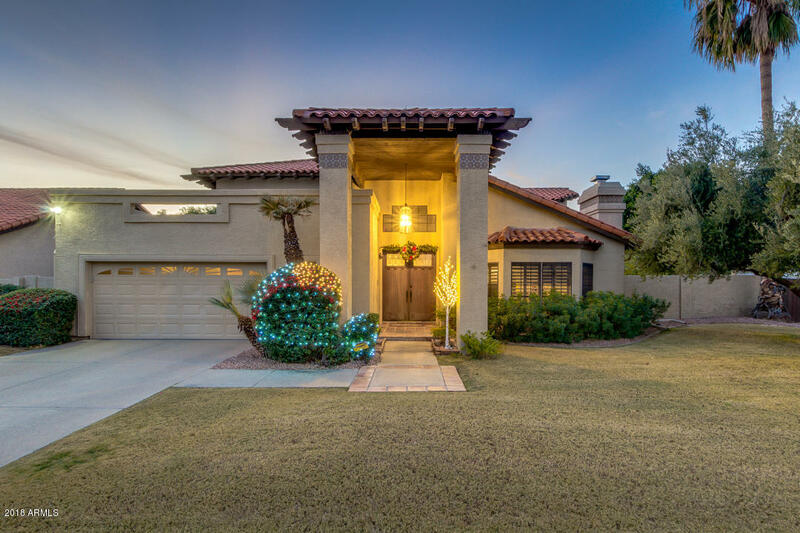 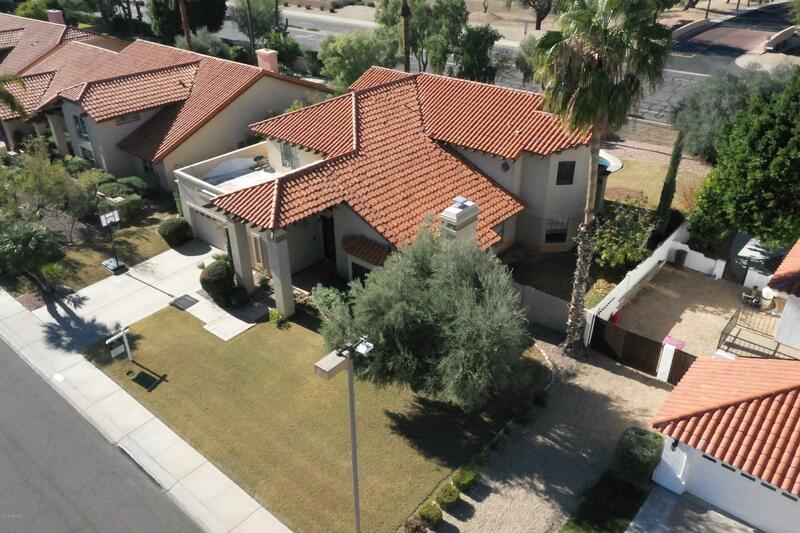 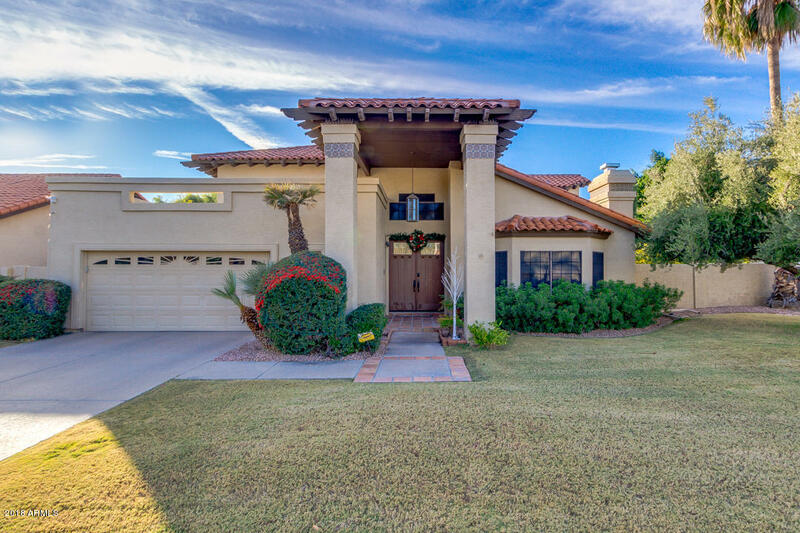 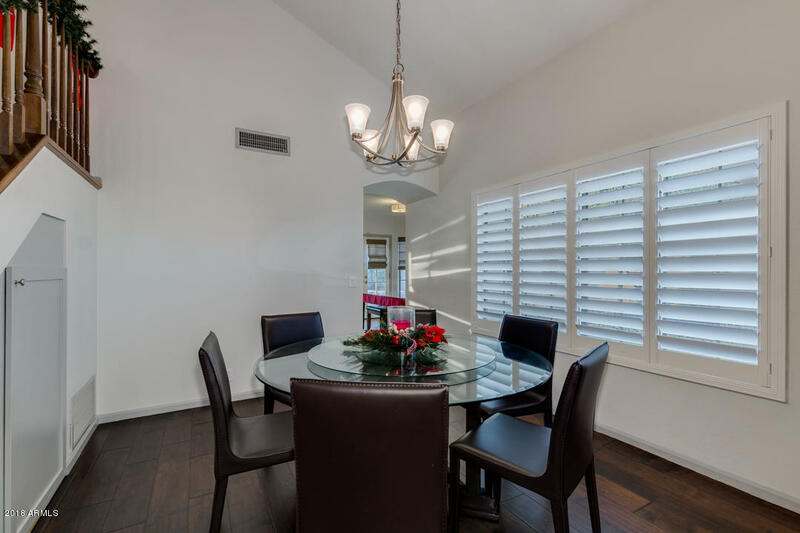 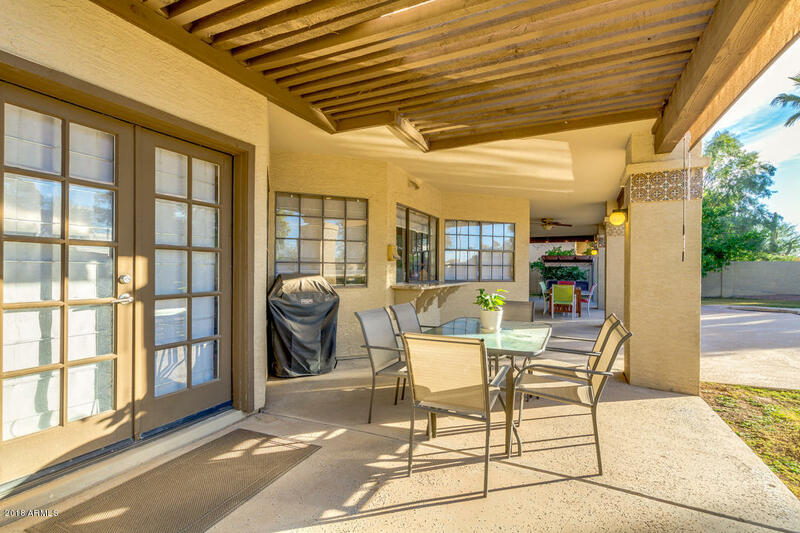 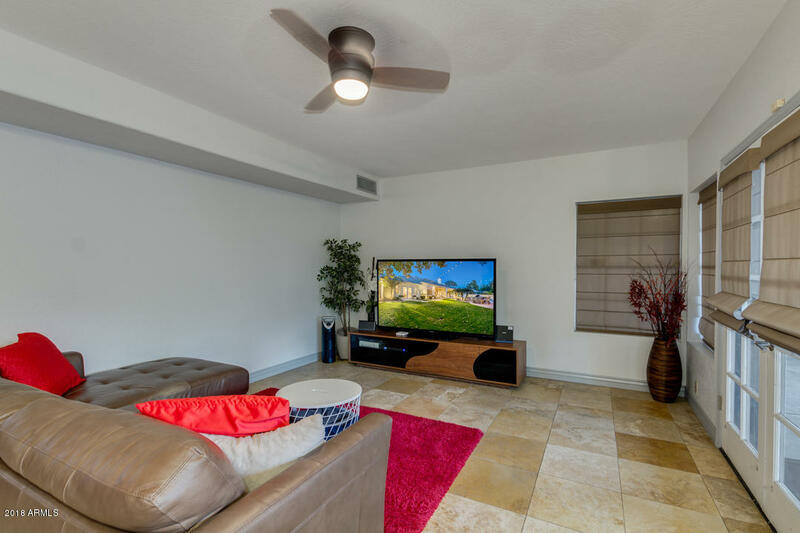 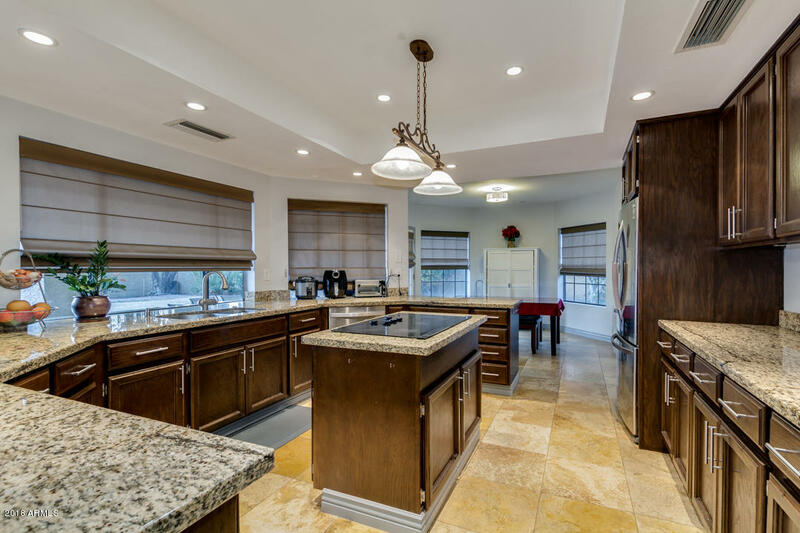 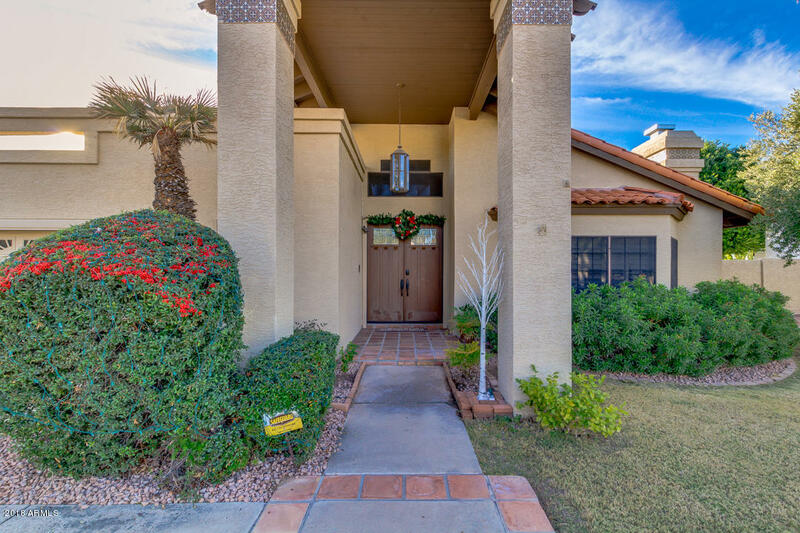 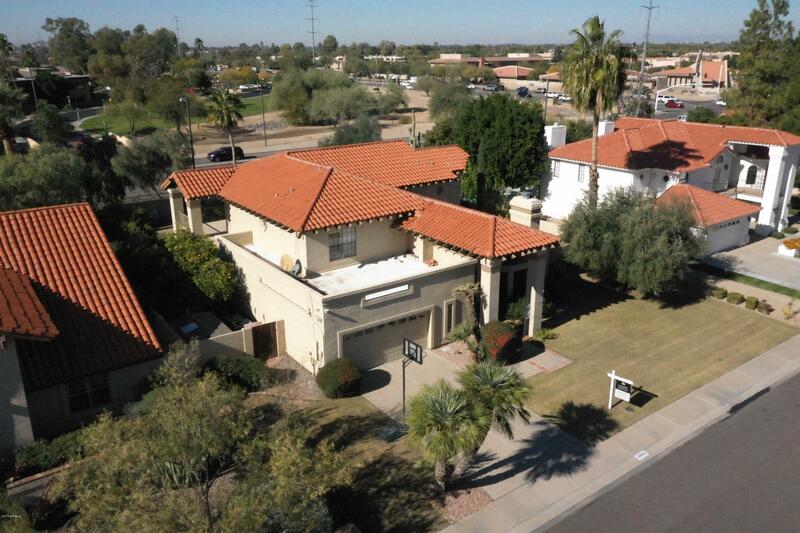 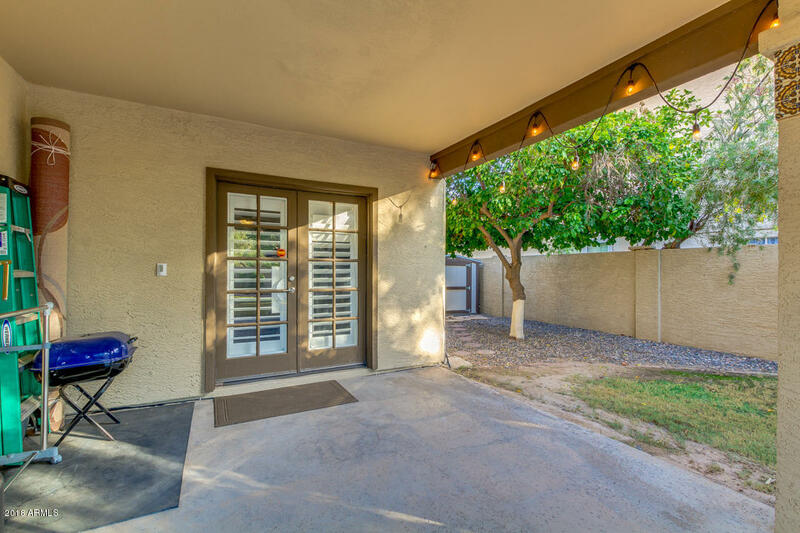 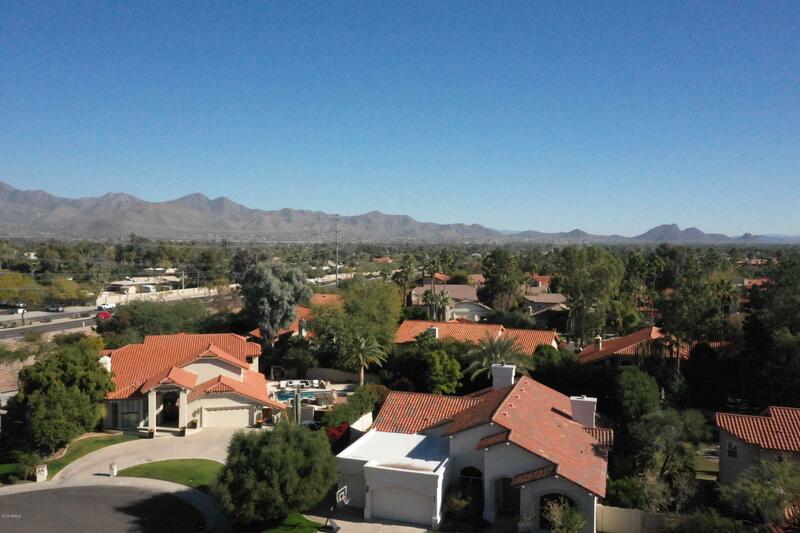 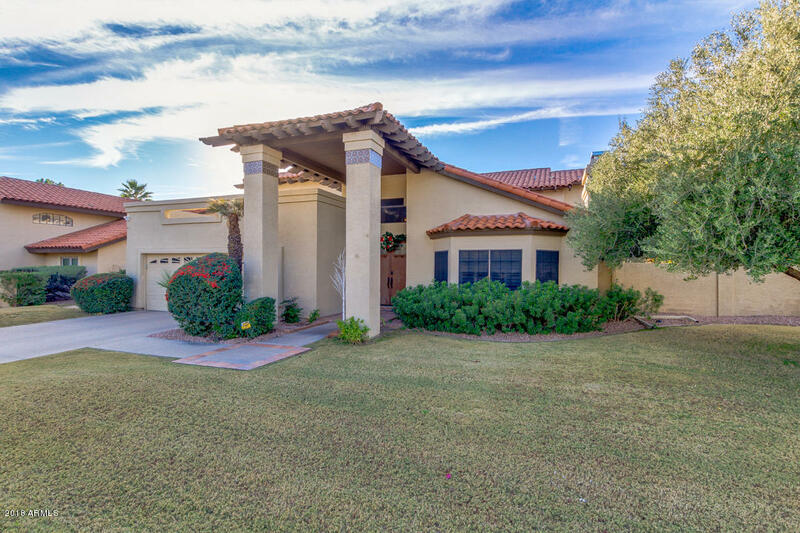 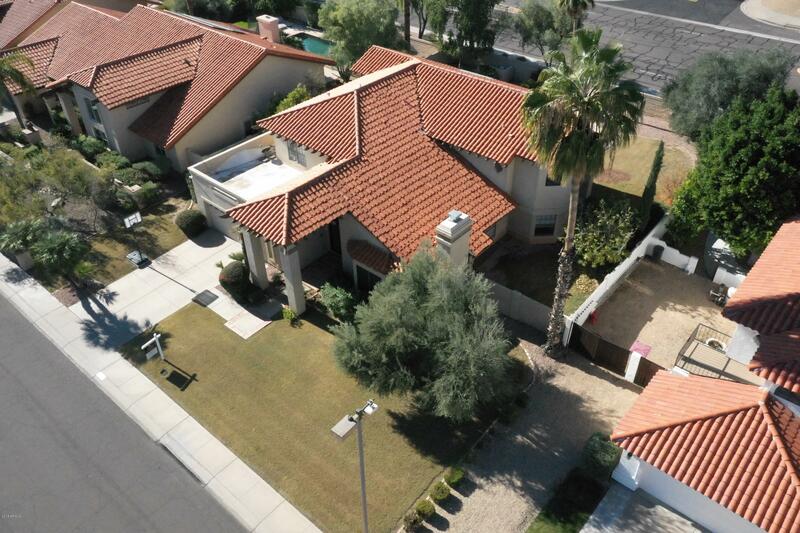 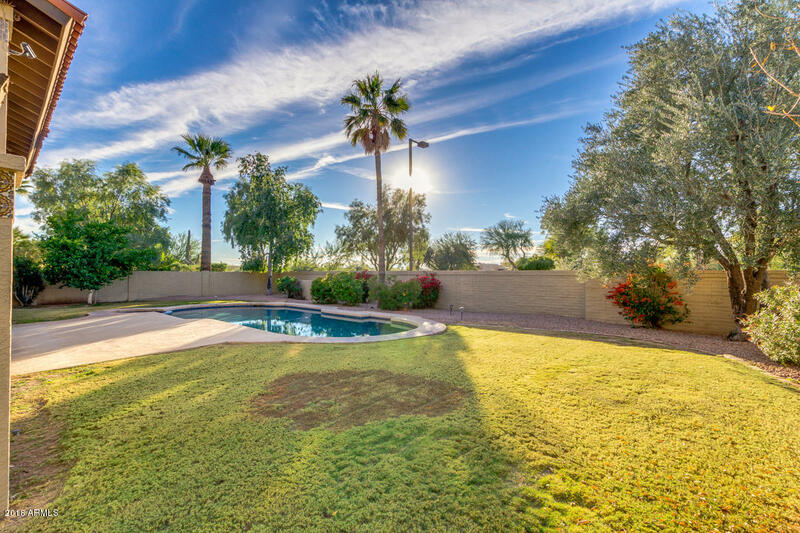 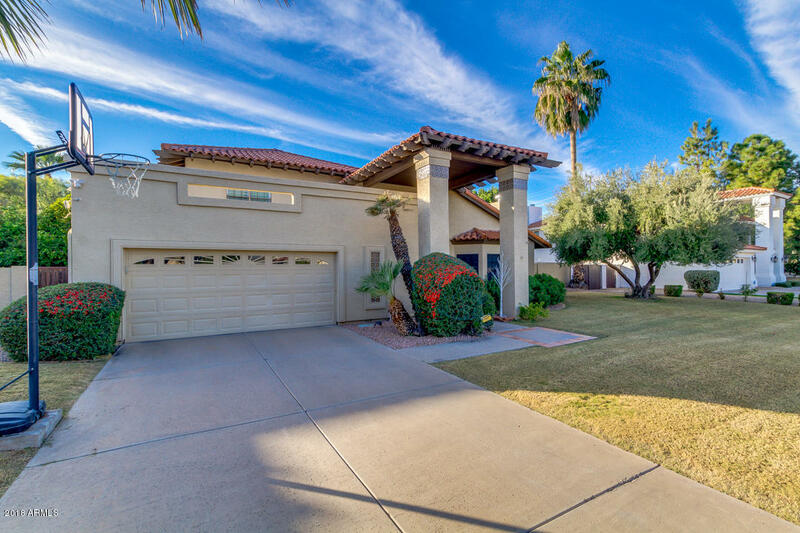 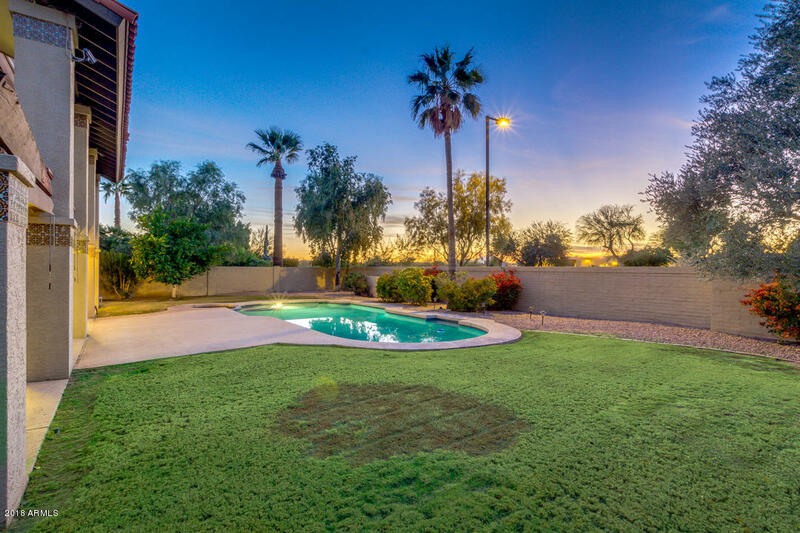 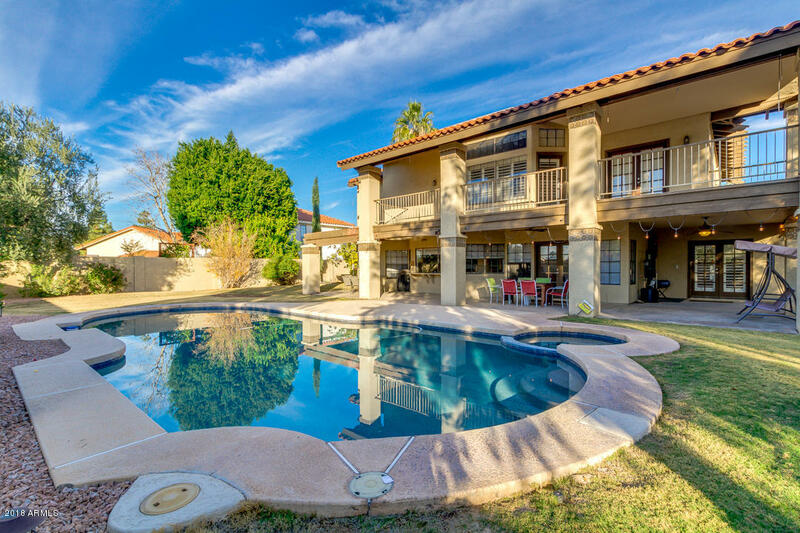 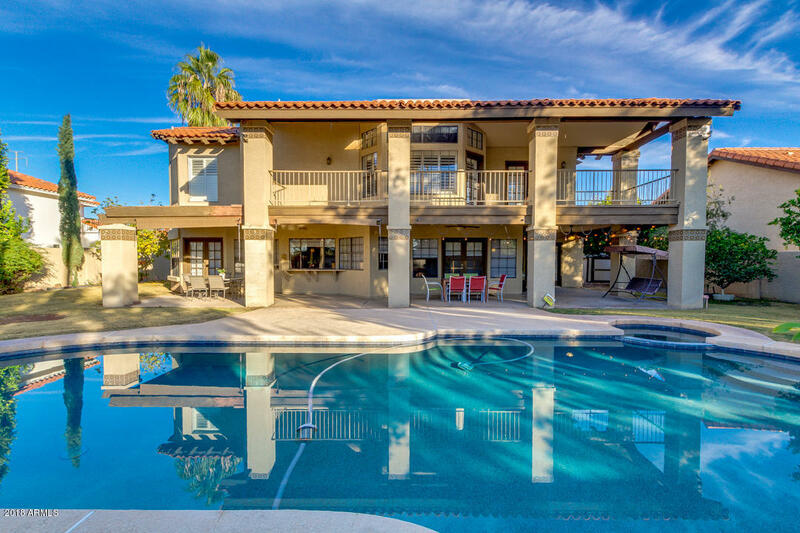 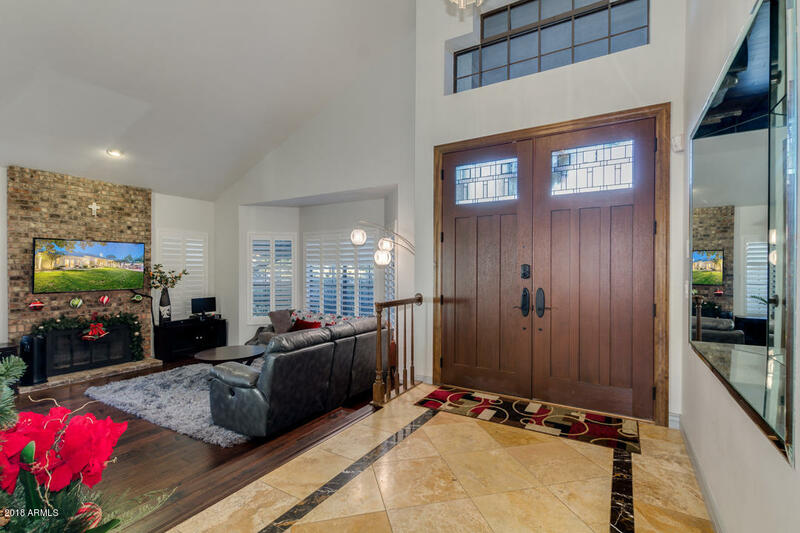 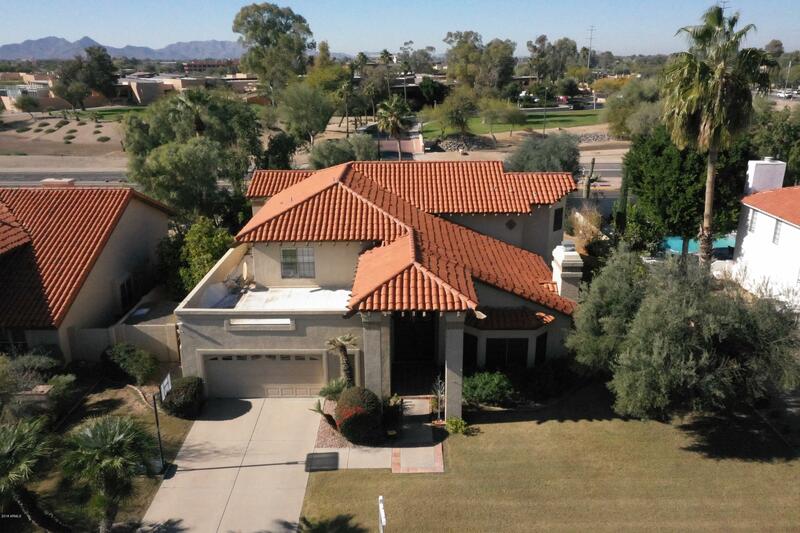 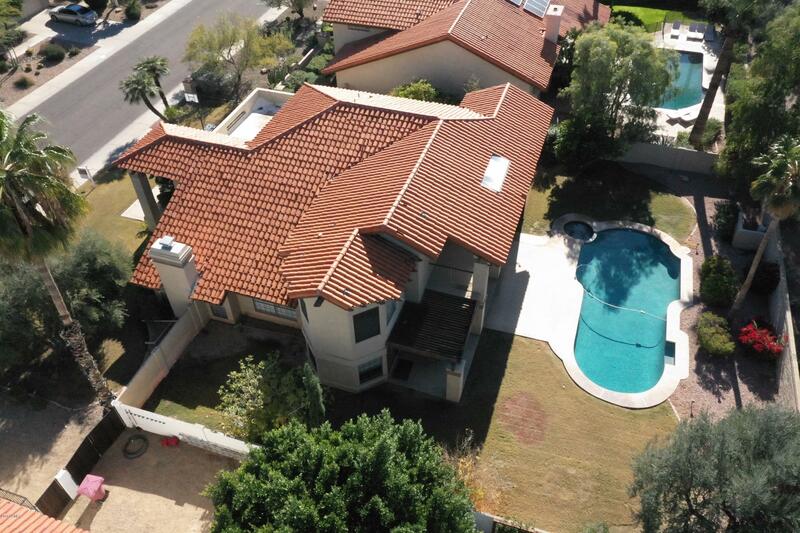 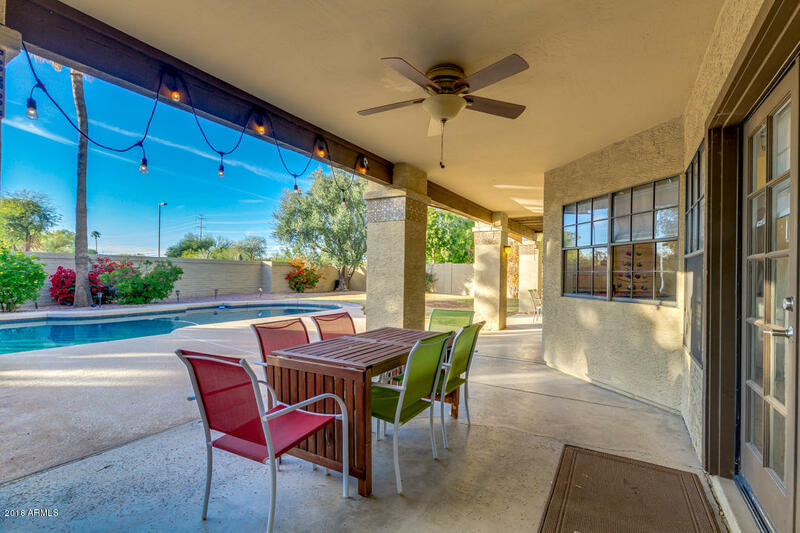 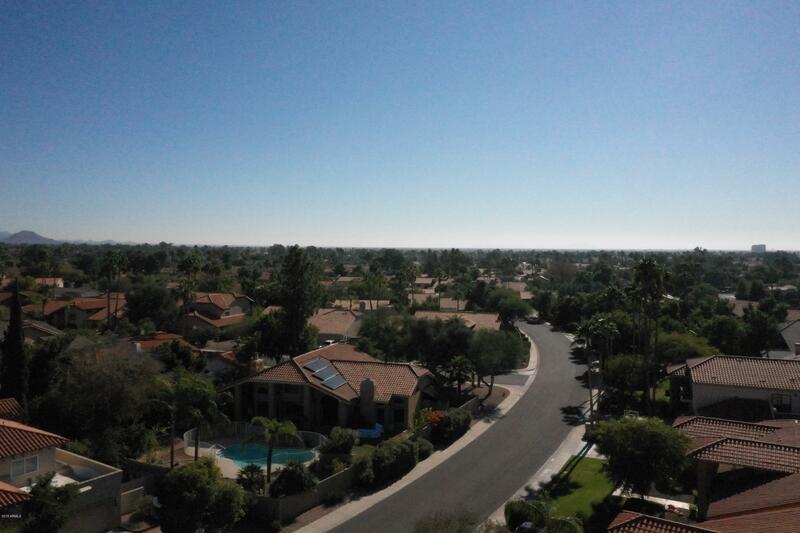 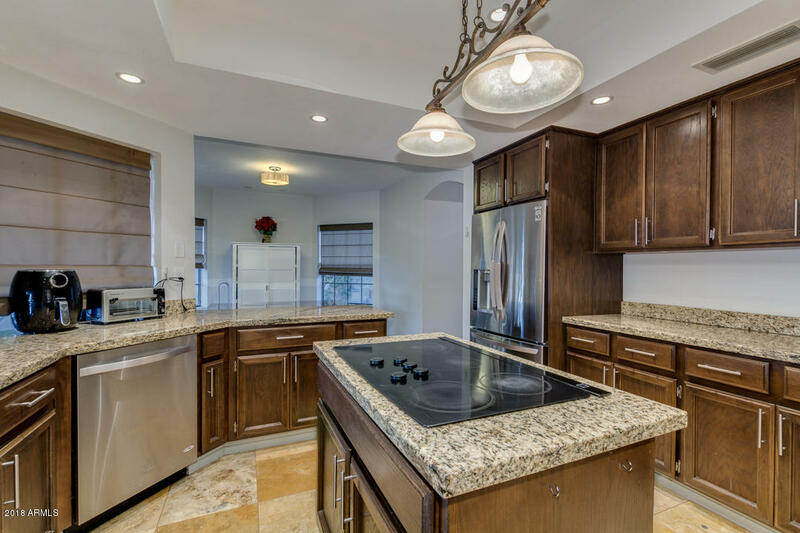 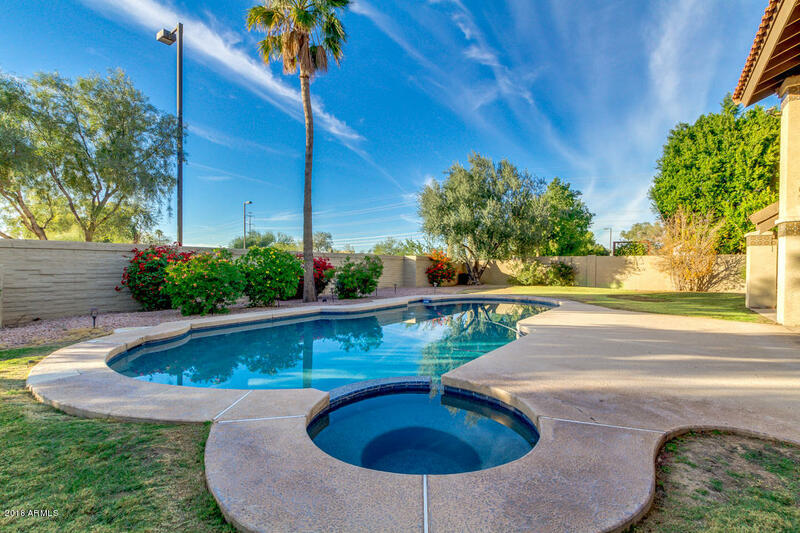 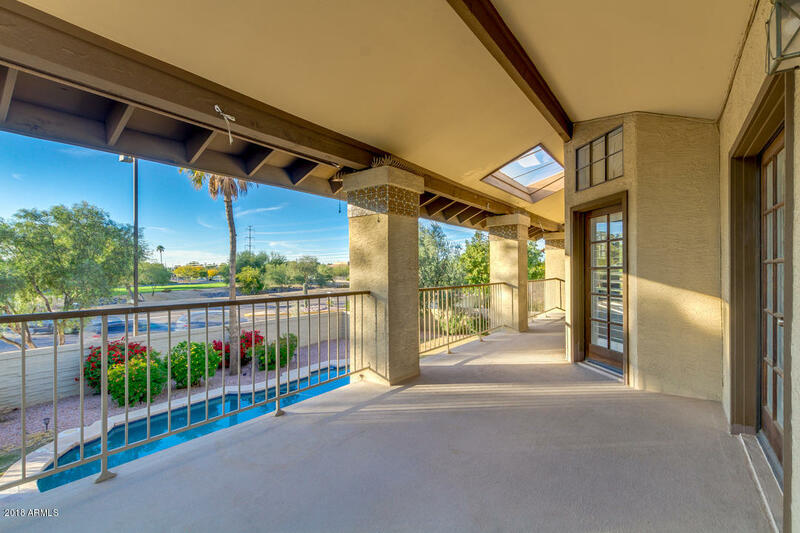 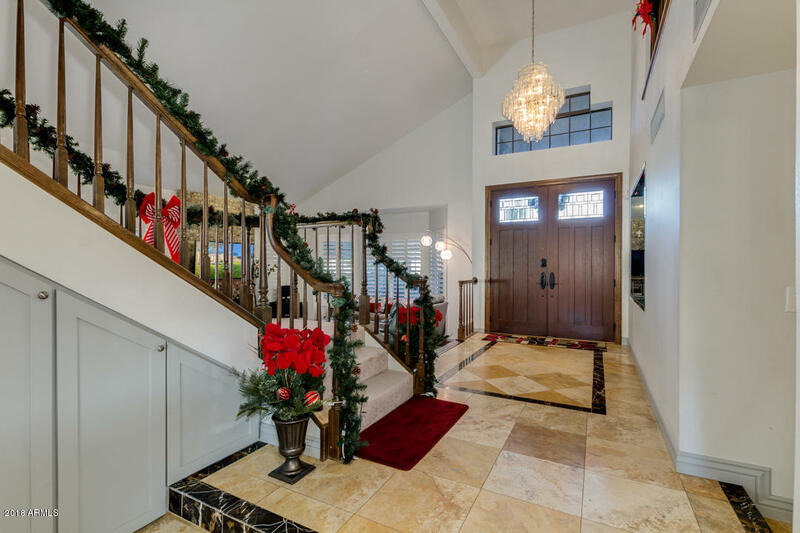 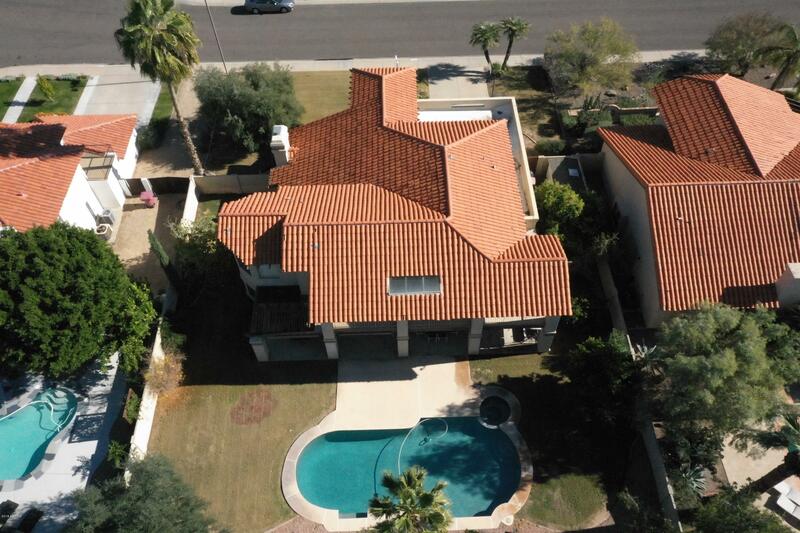 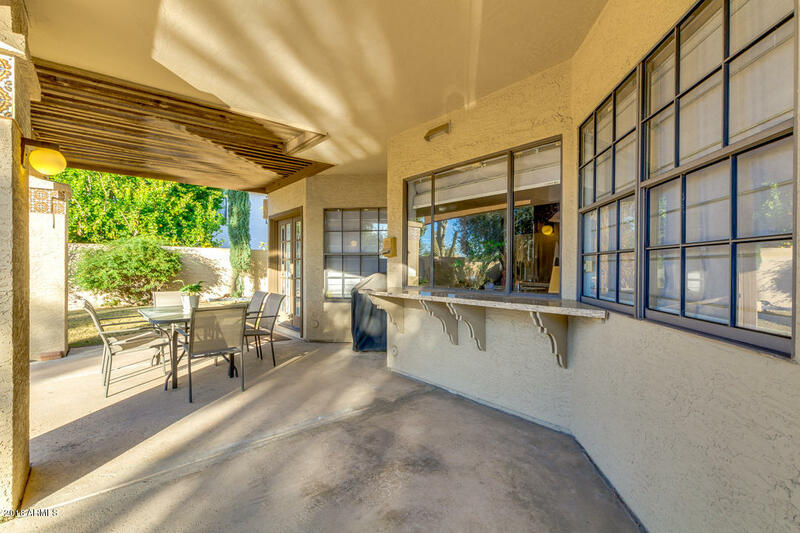 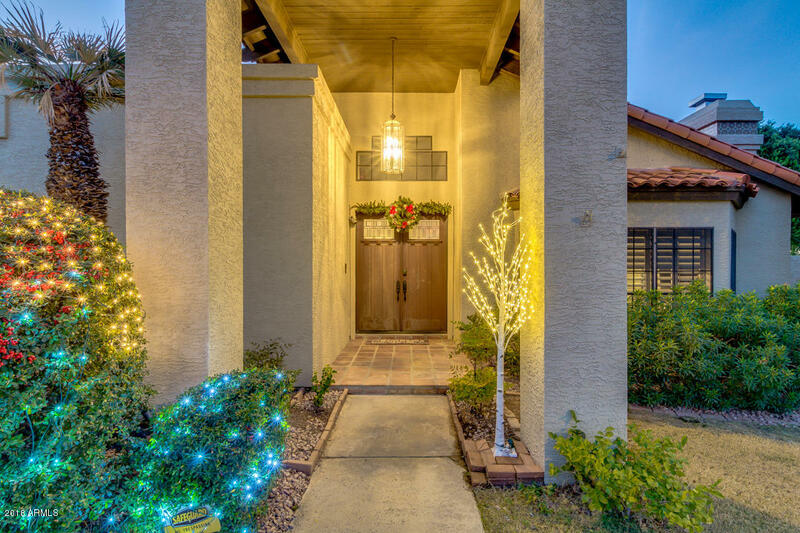 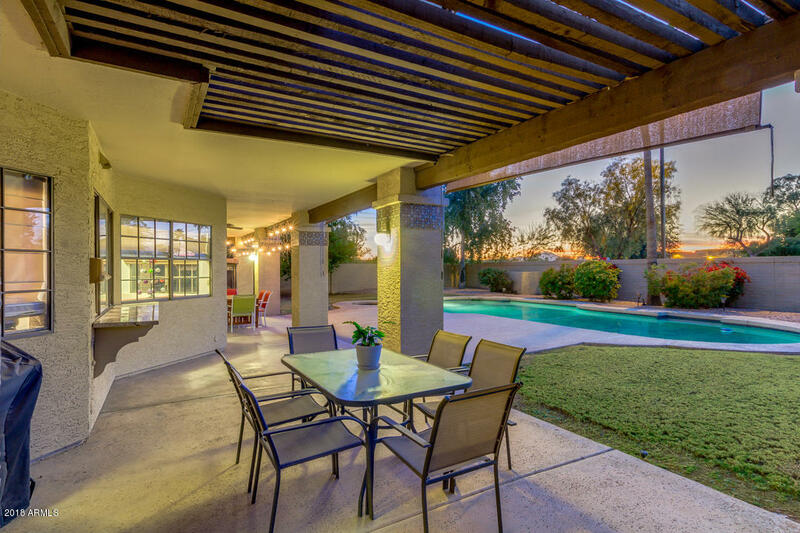 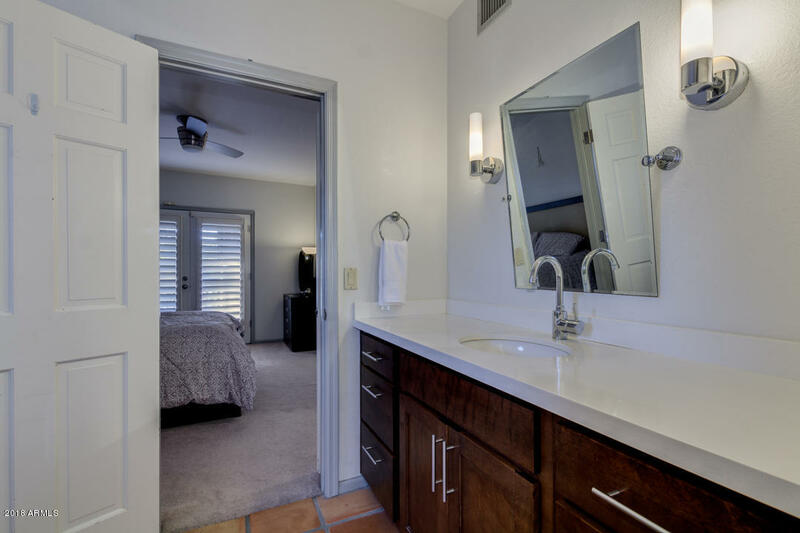 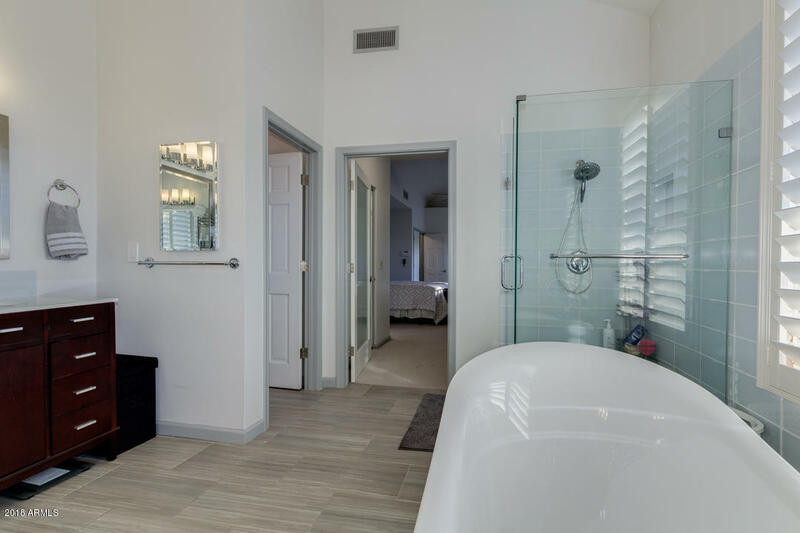 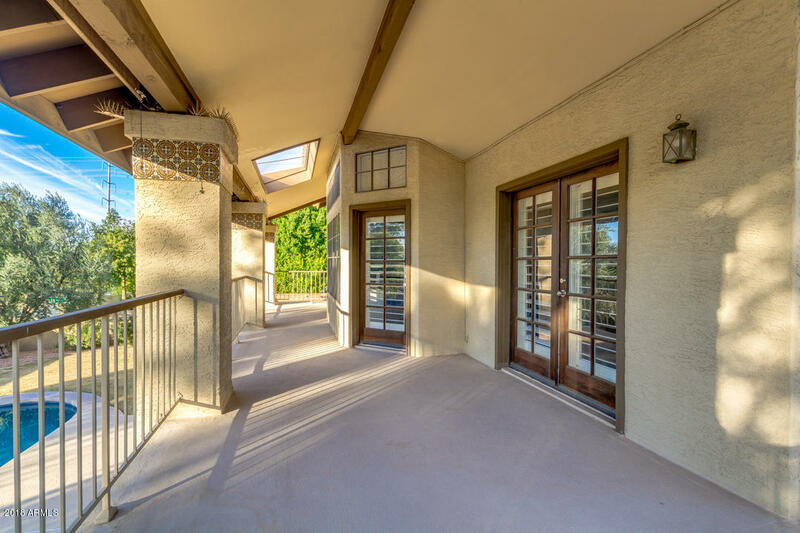 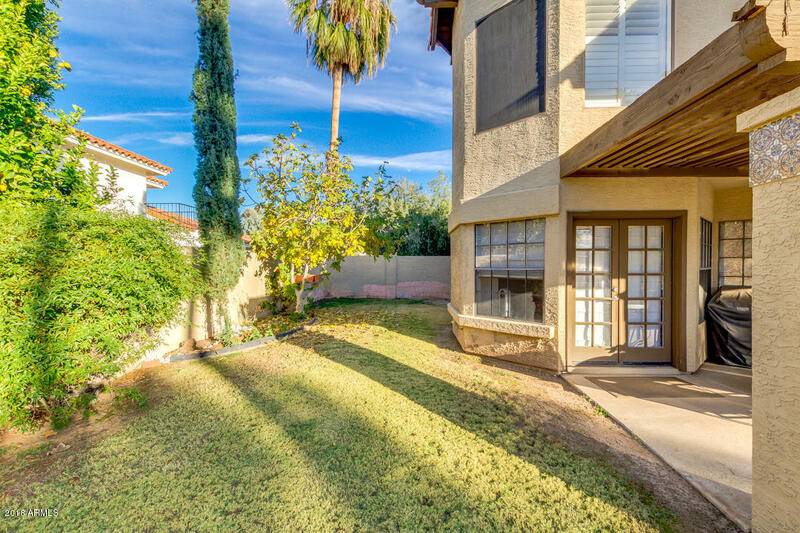 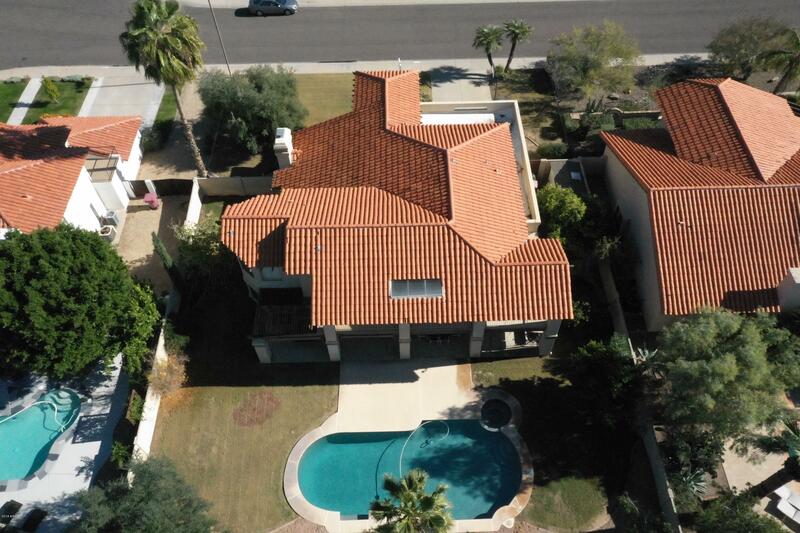 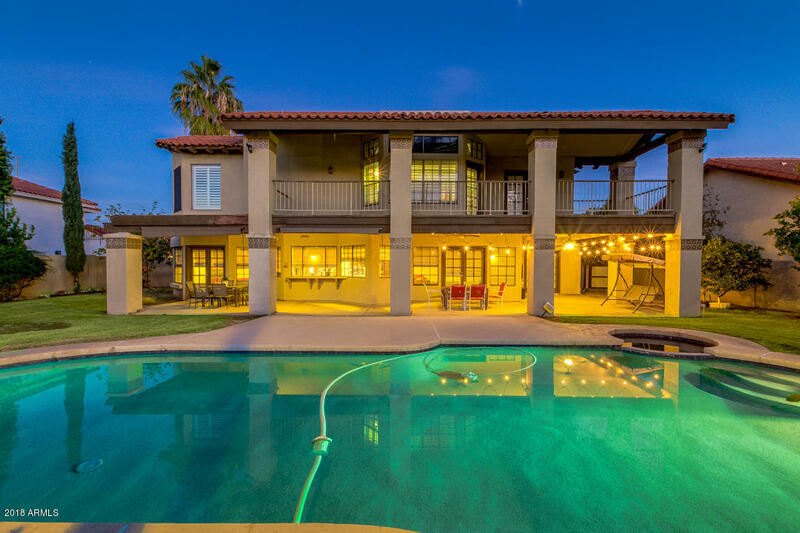 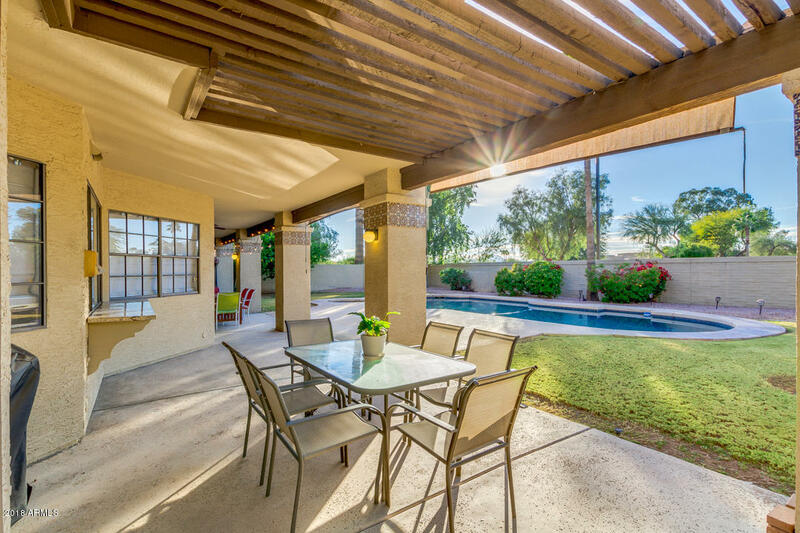 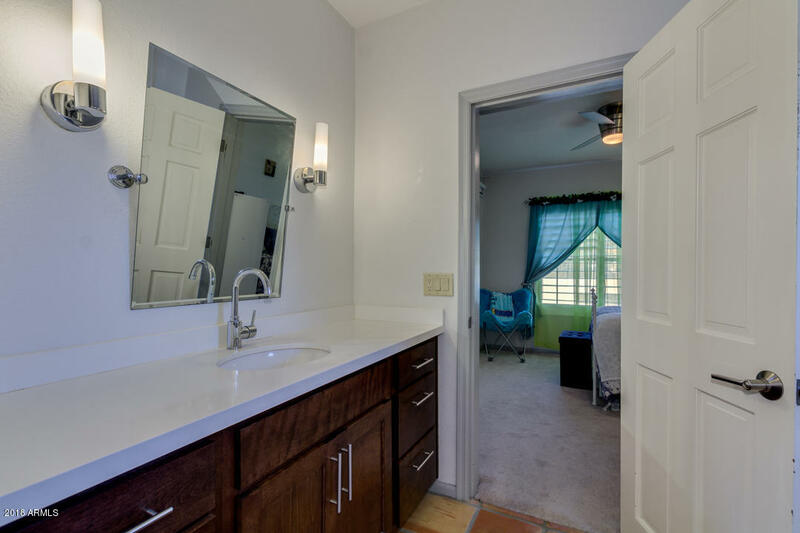 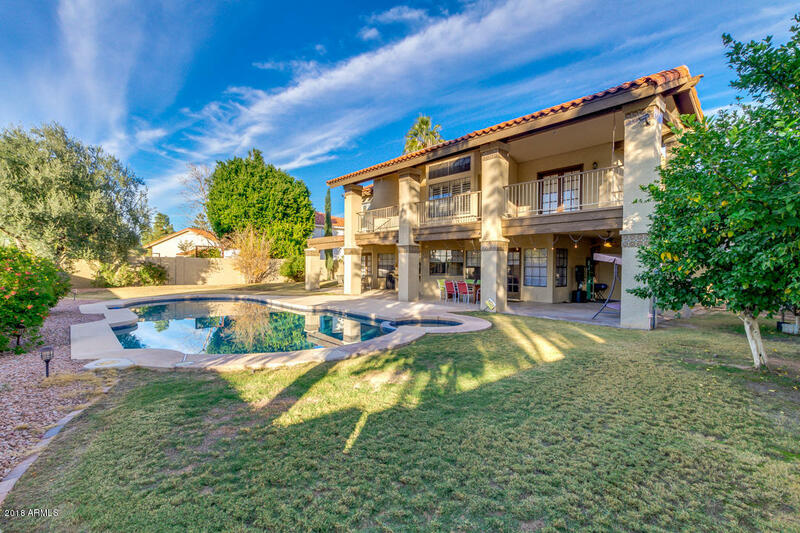 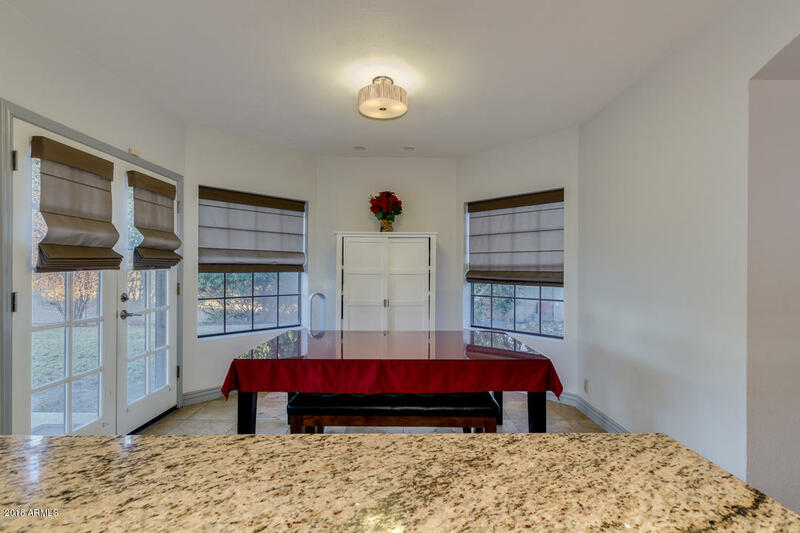 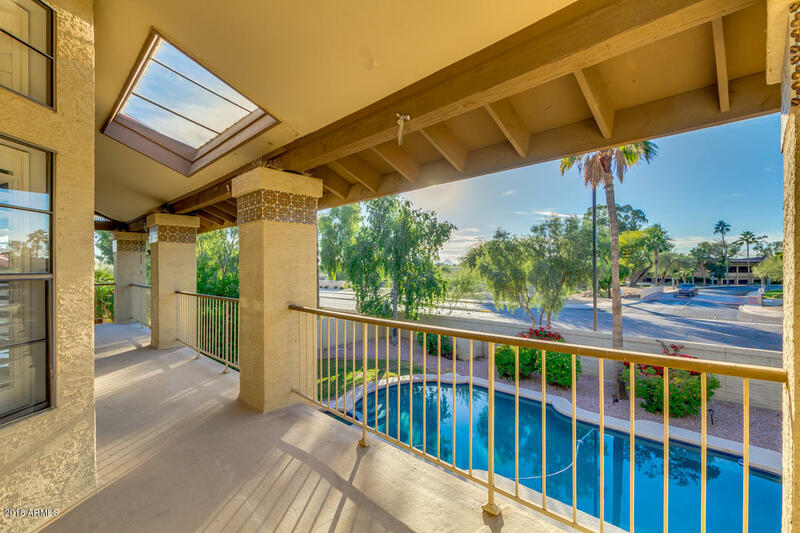 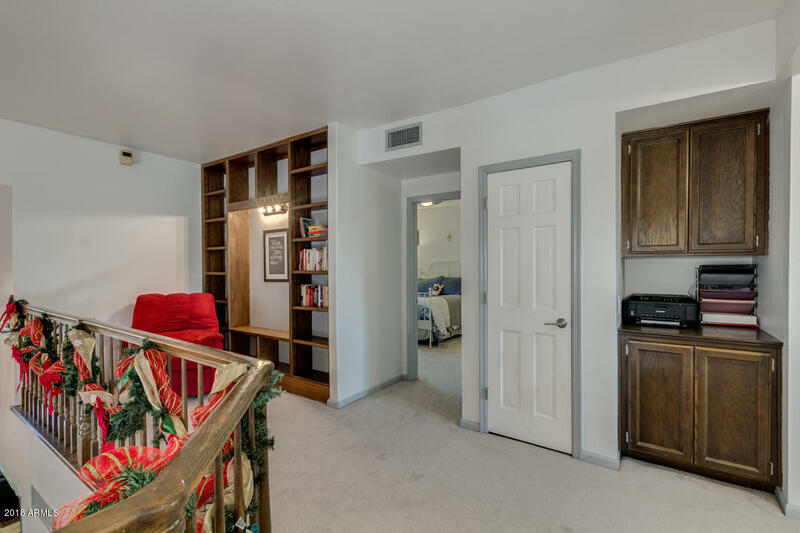 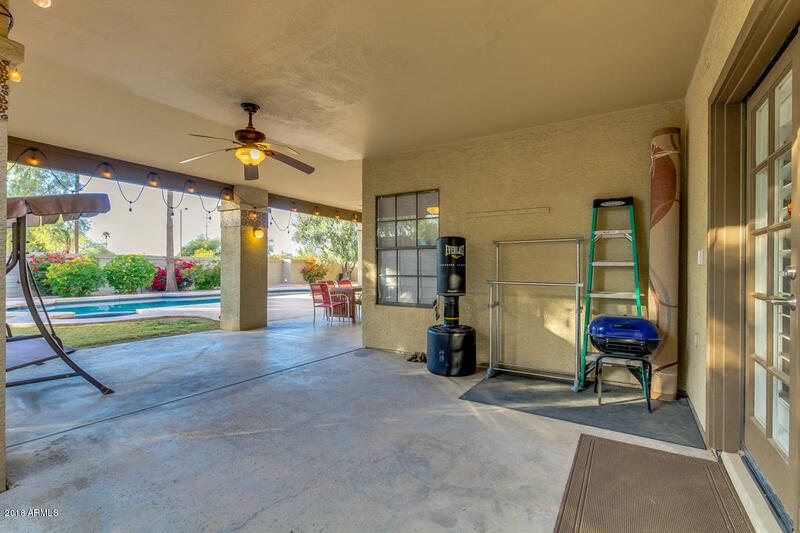 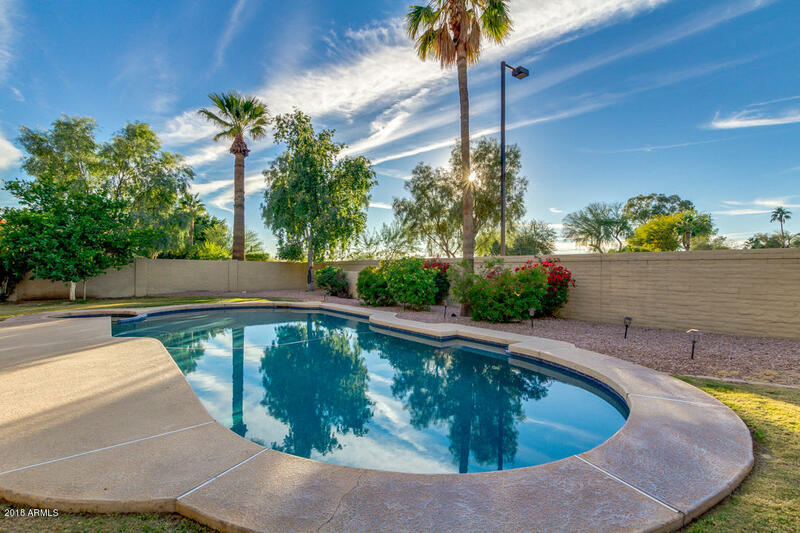 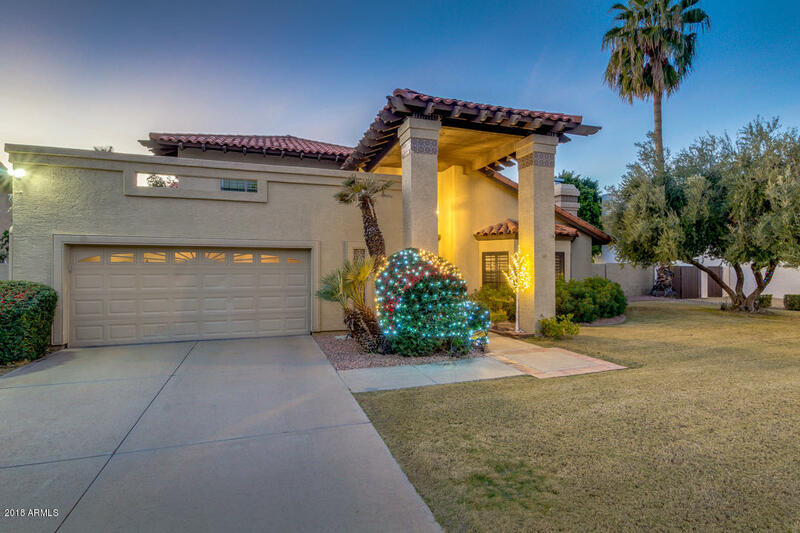 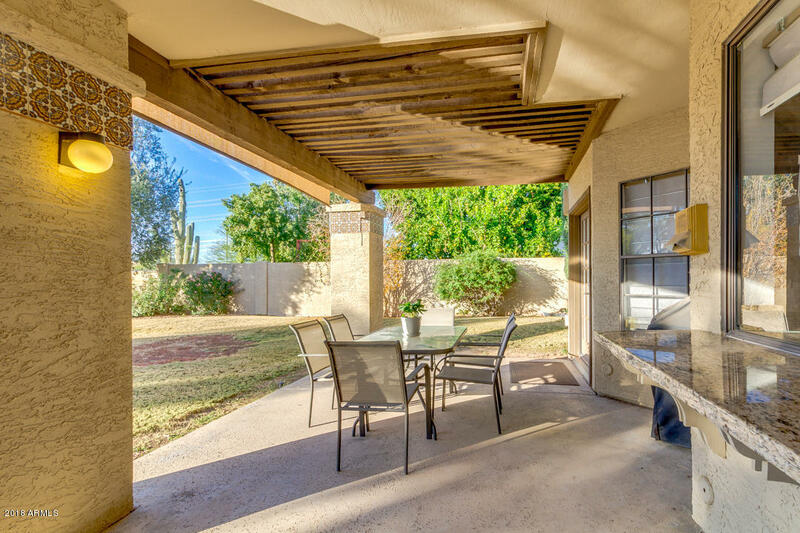 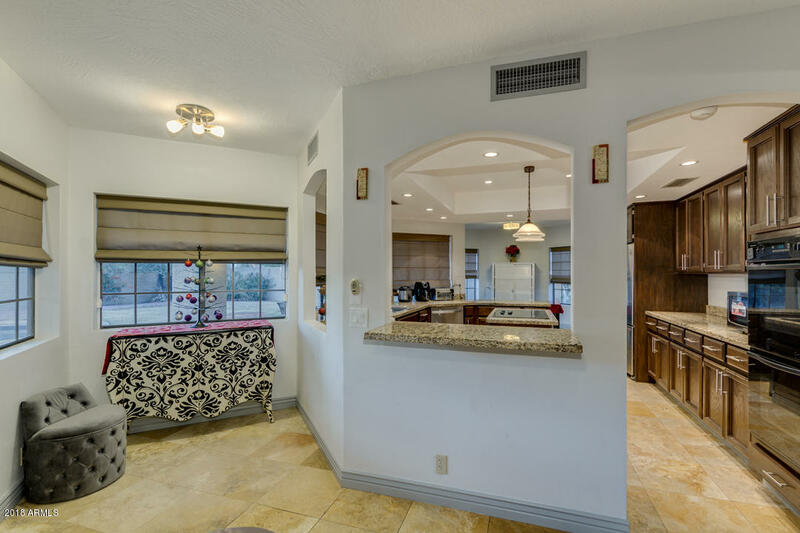 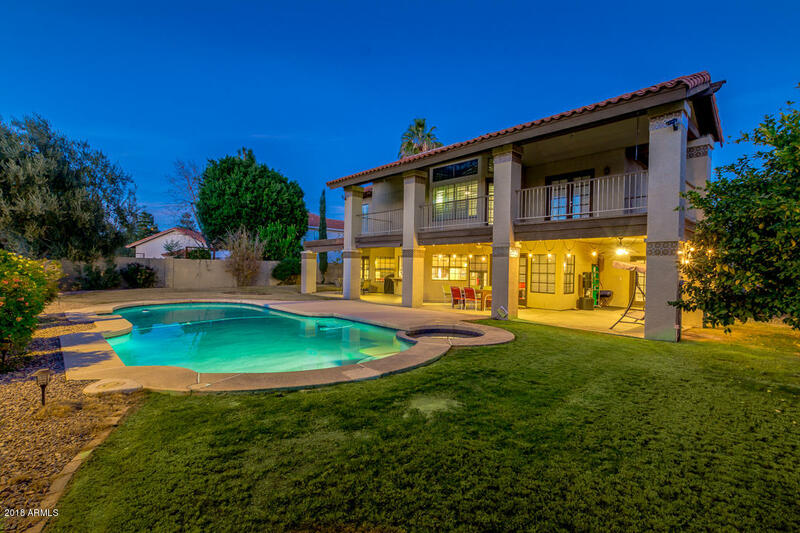 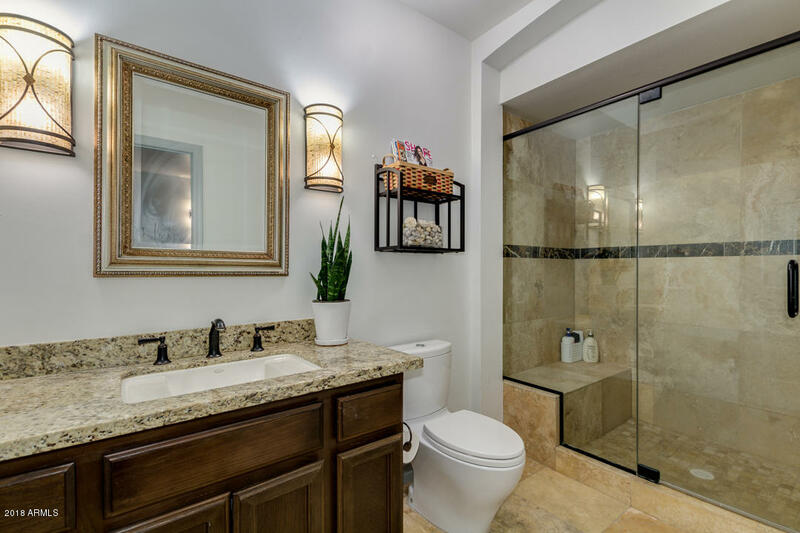 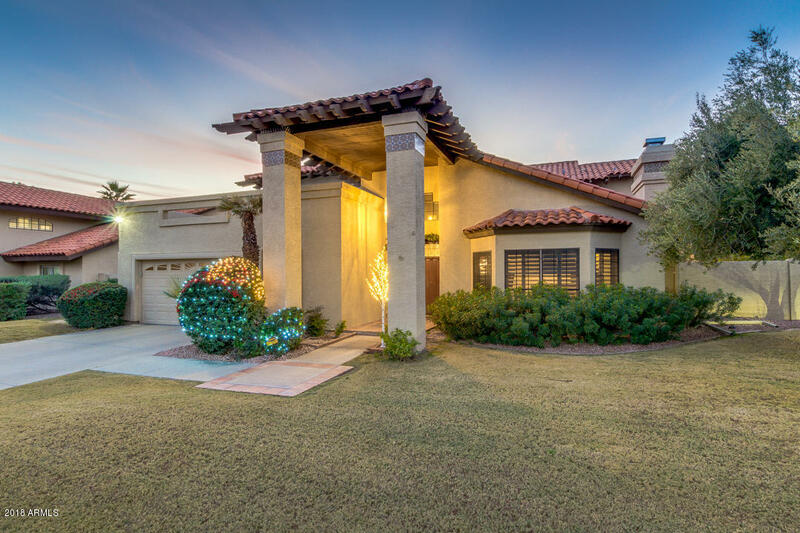 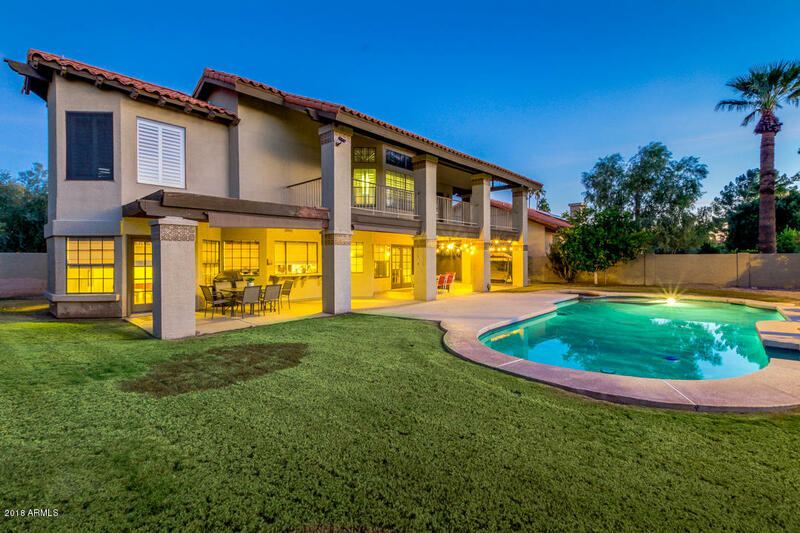 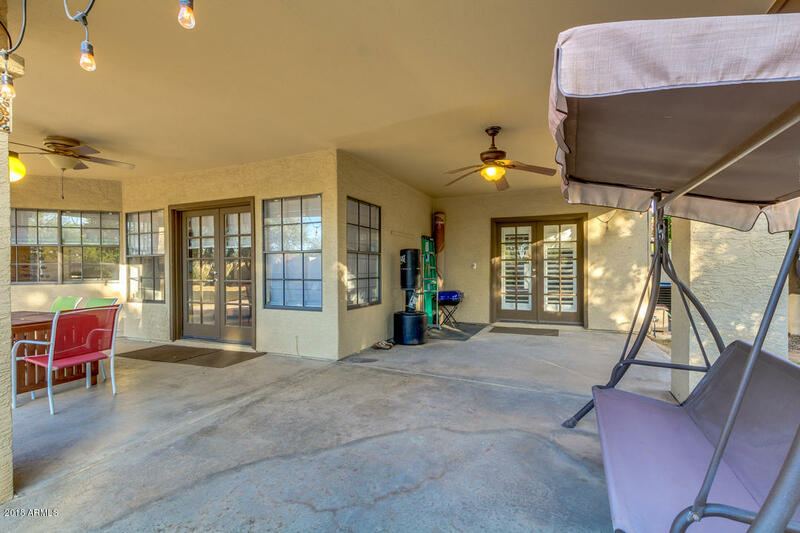 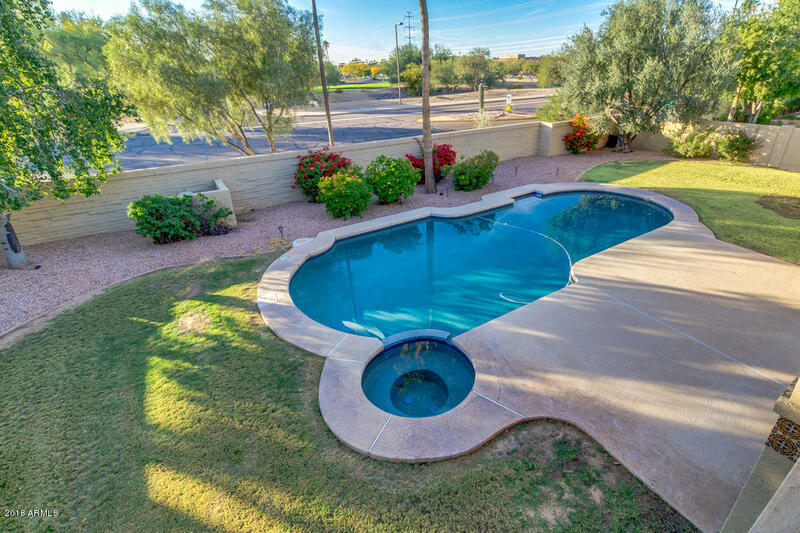 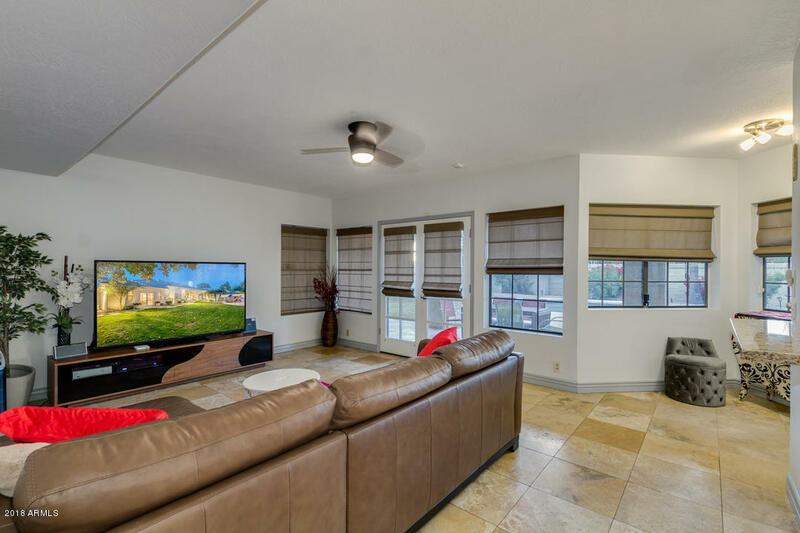 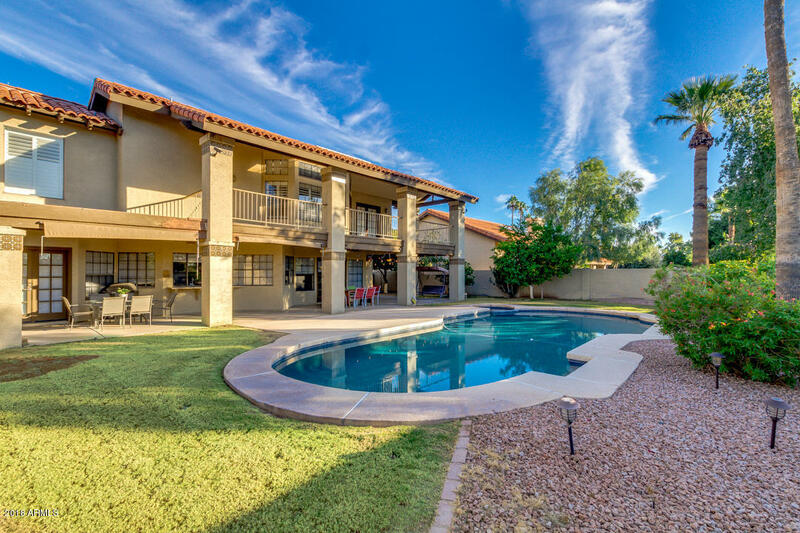 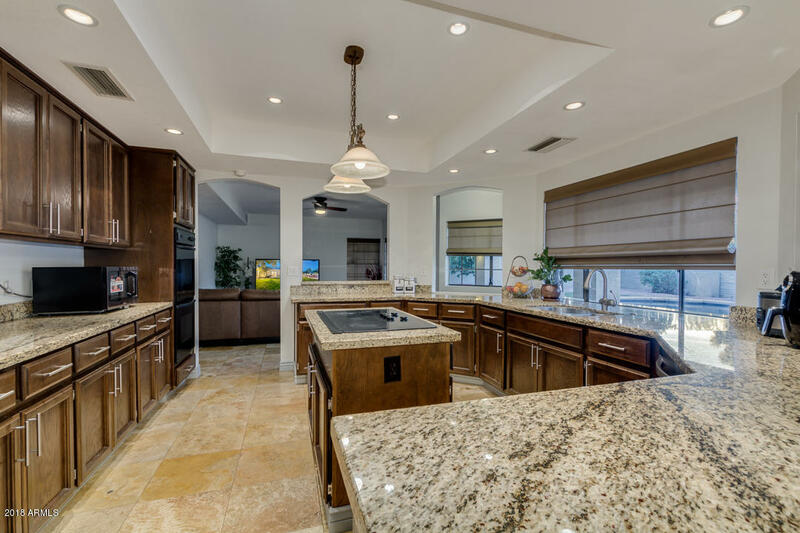 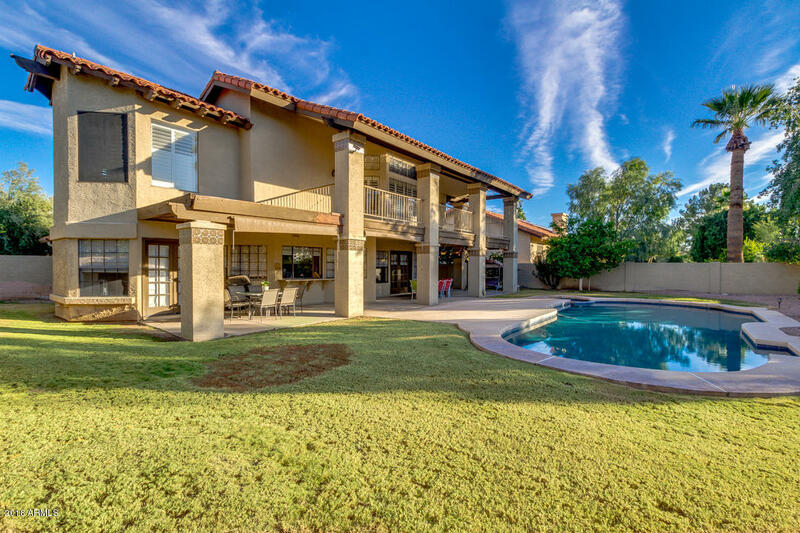 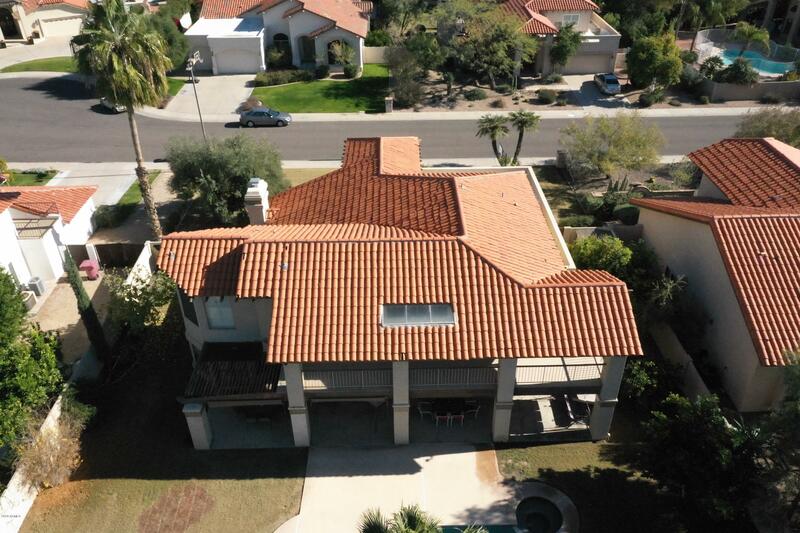 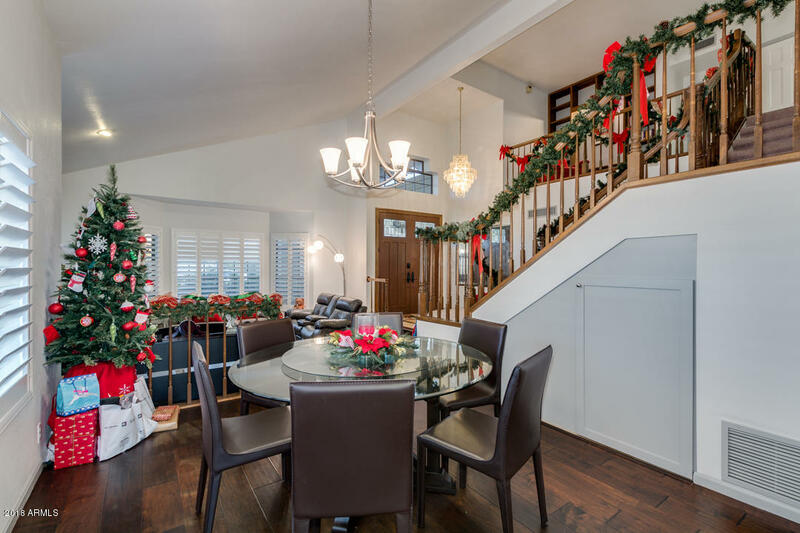 A Beautifully remodeled Scottsdale Ranch home on a Cul De Sac lot! 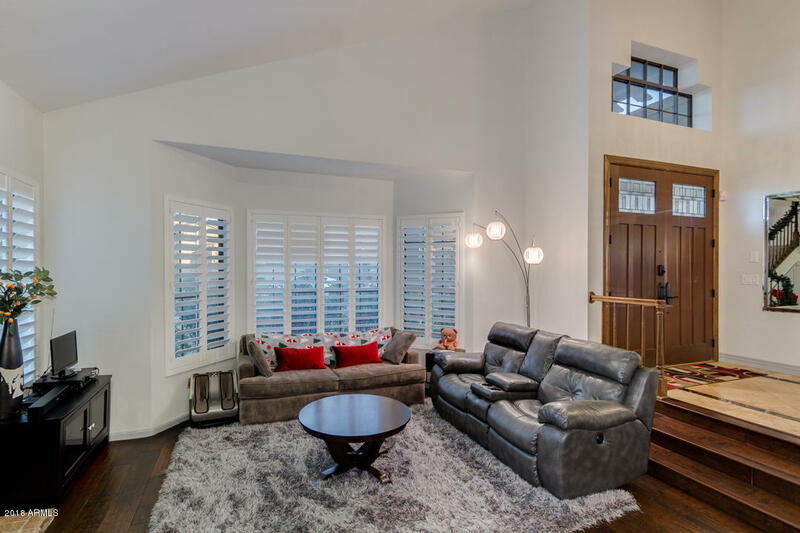 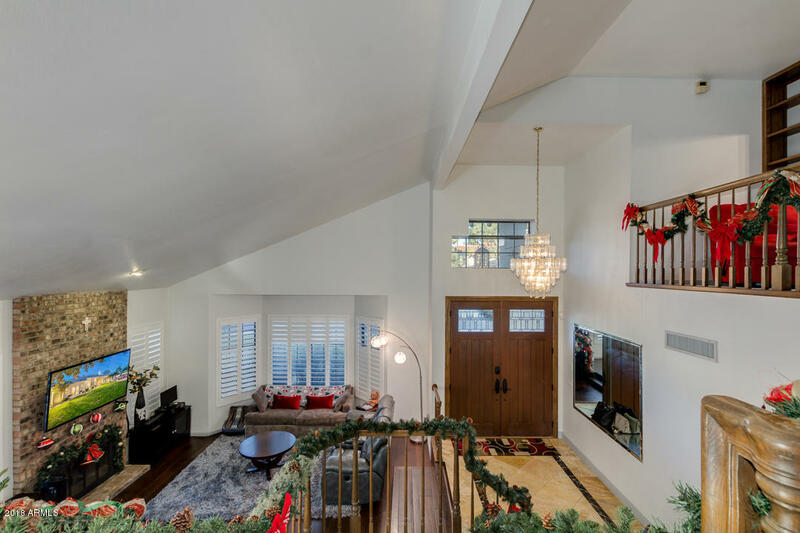 3,040 Square feet of warm elegance! 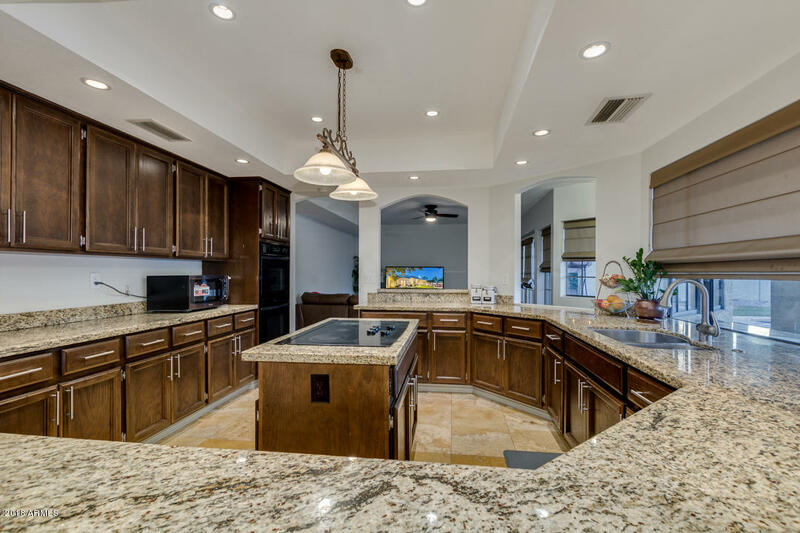 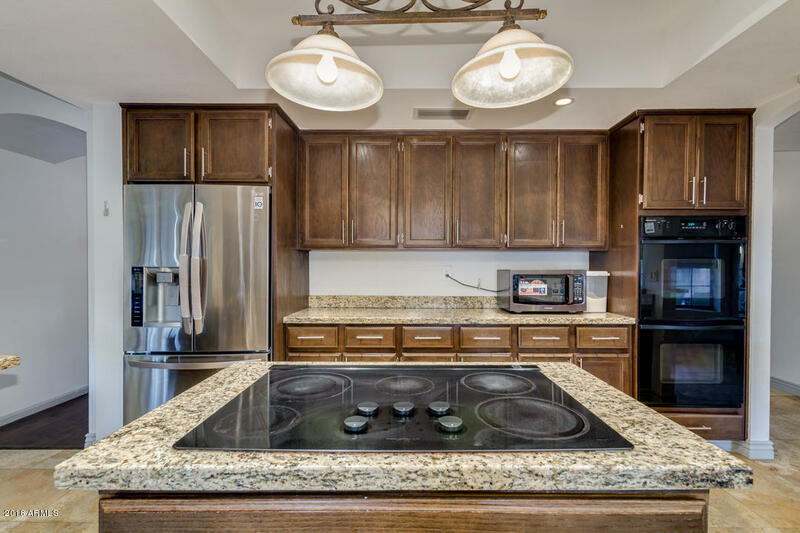 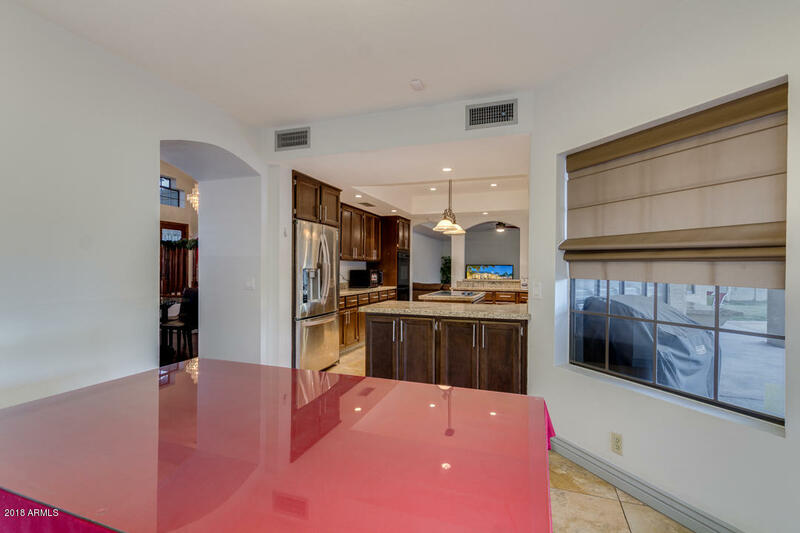 A huge eat-in island kitchen with breakfast bar, granite counters, double ovens, a breakfast nook opens onto the family room and overlooks the sparkling pool in the back yard! 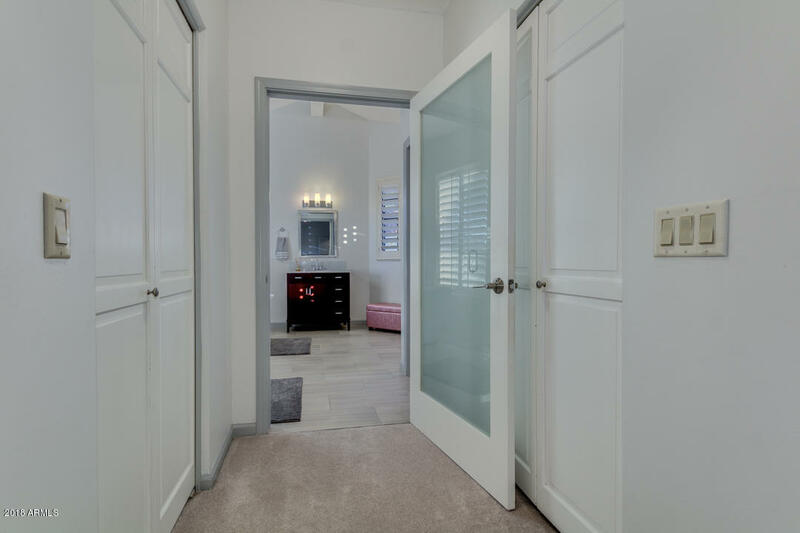 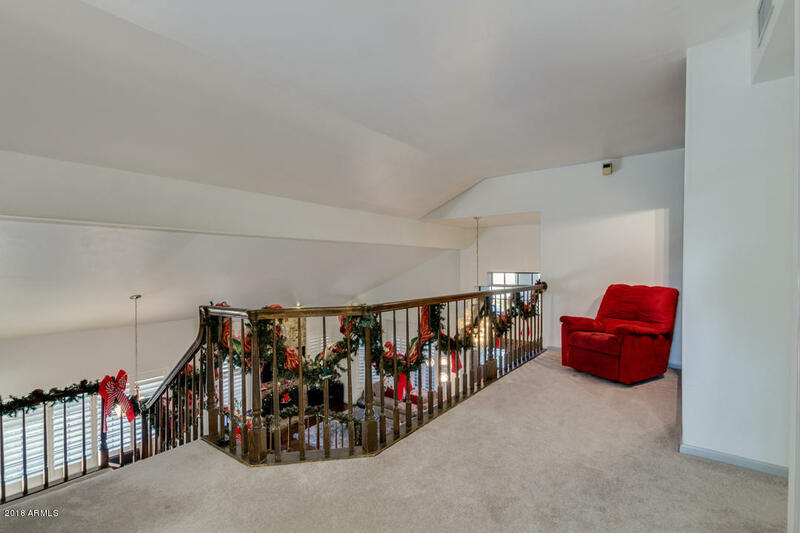 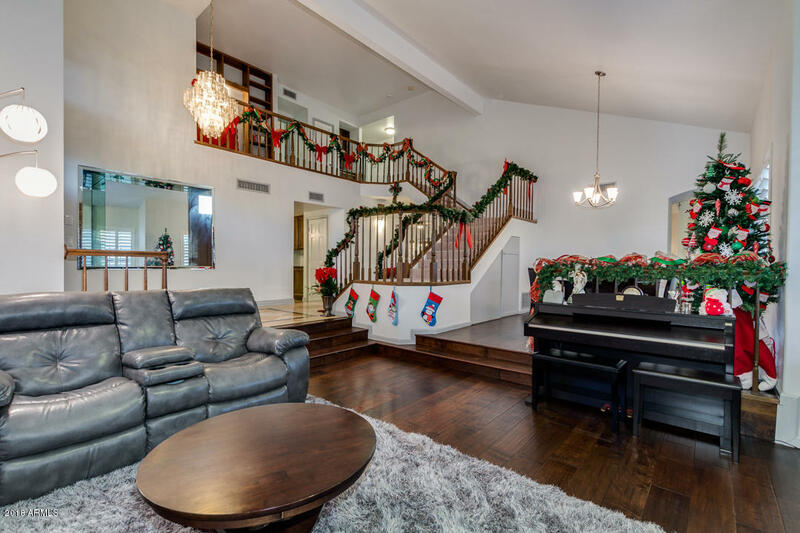 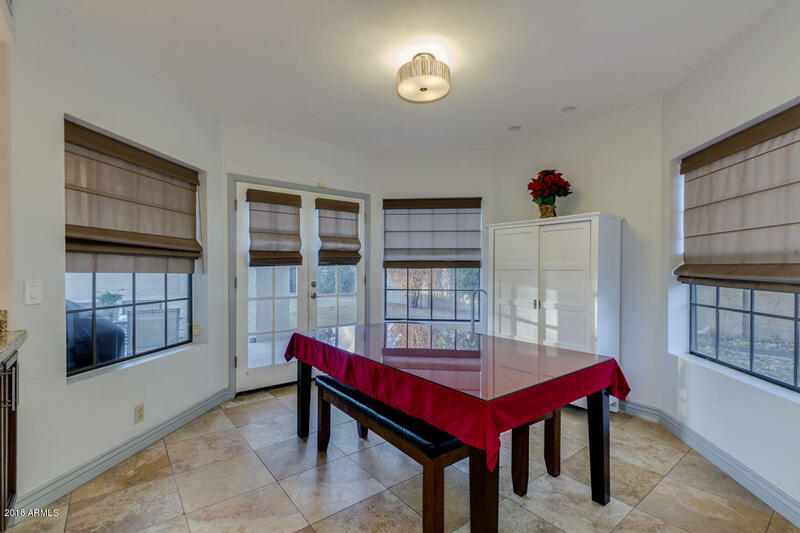 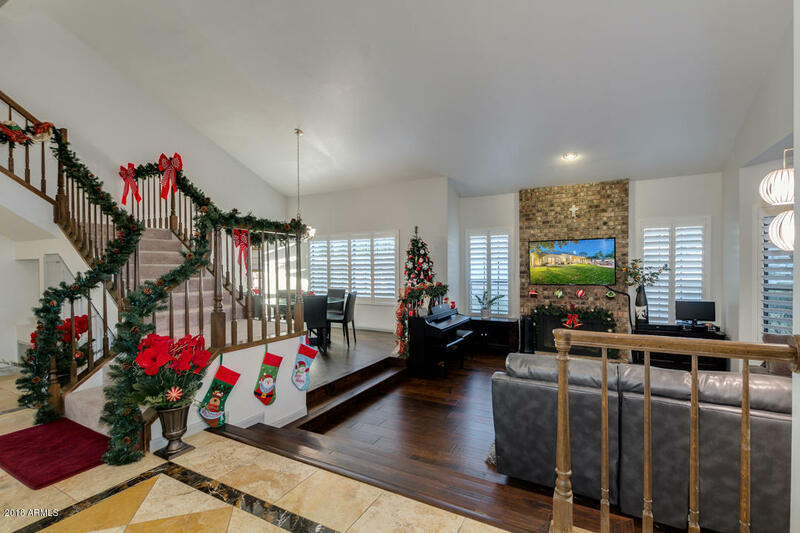 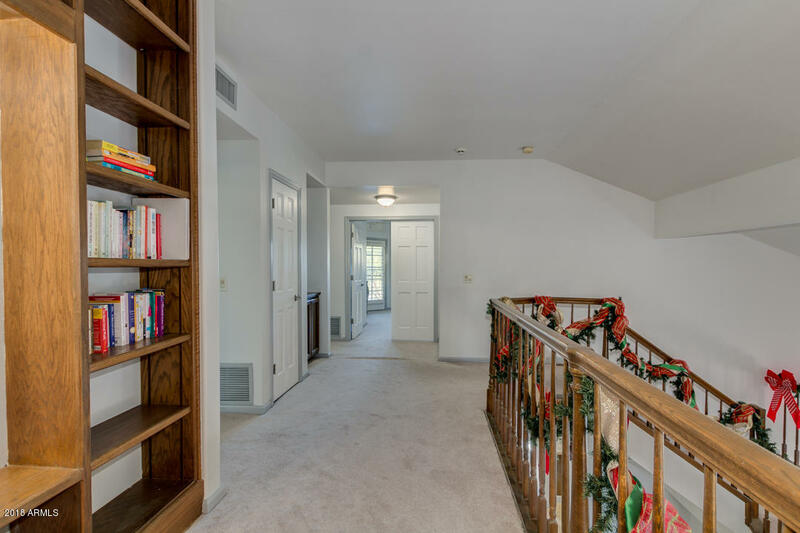 From the formal tiled entrance foyer, you'll love the wood floors in the family room and formal dining room. 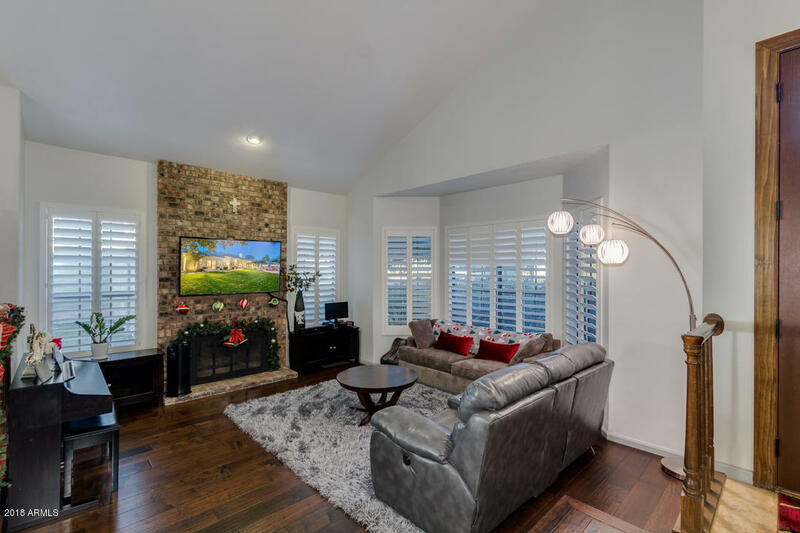 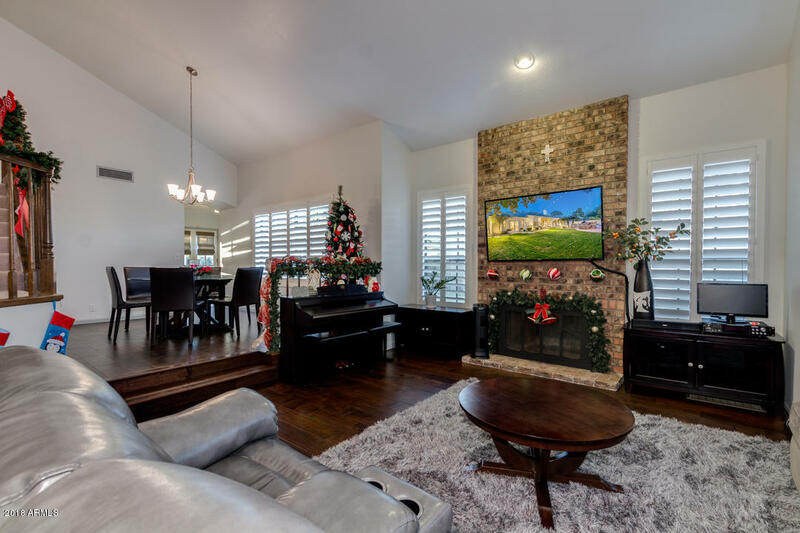 The brick fireplace runs ceiling to floor! 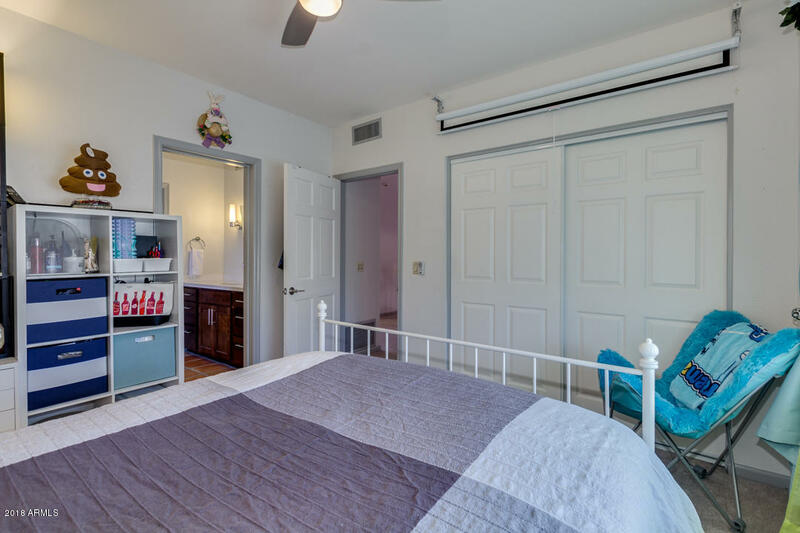 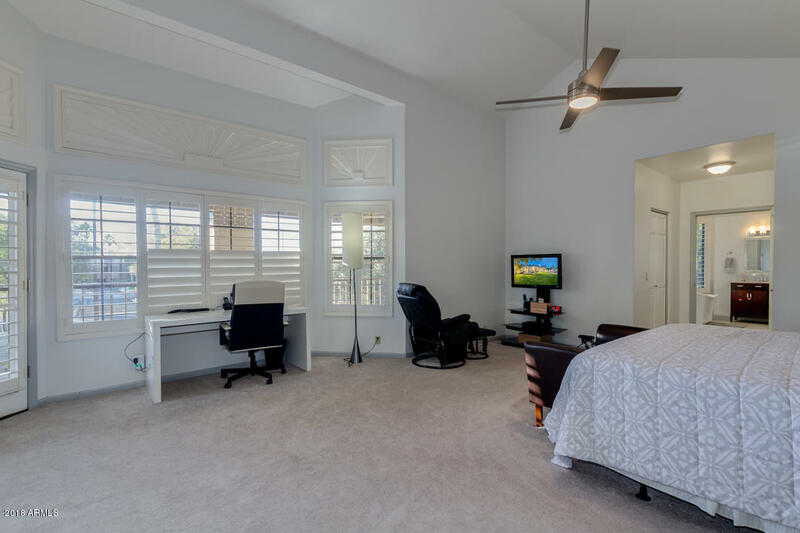 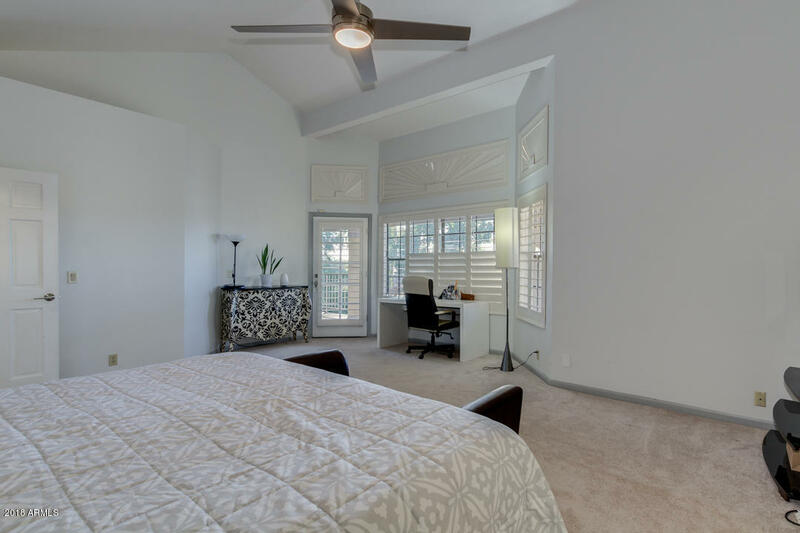 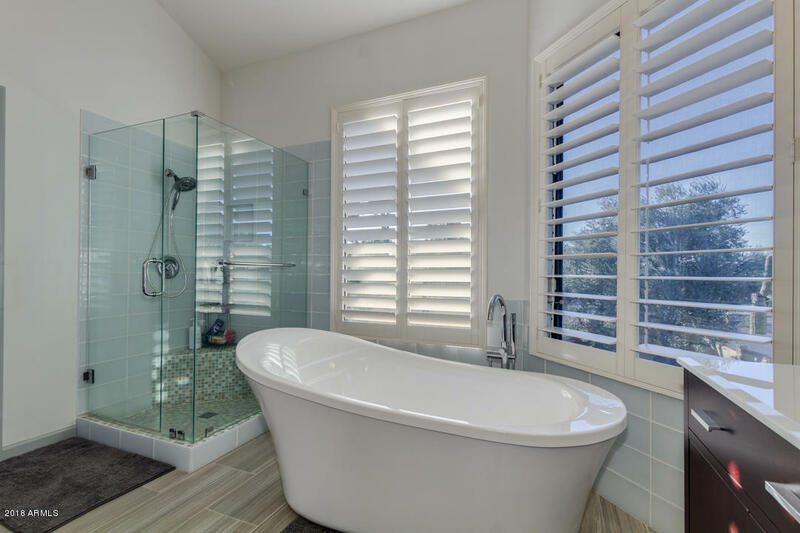 Downstairs bedroom and bath make perfect guest quarters or a home office. 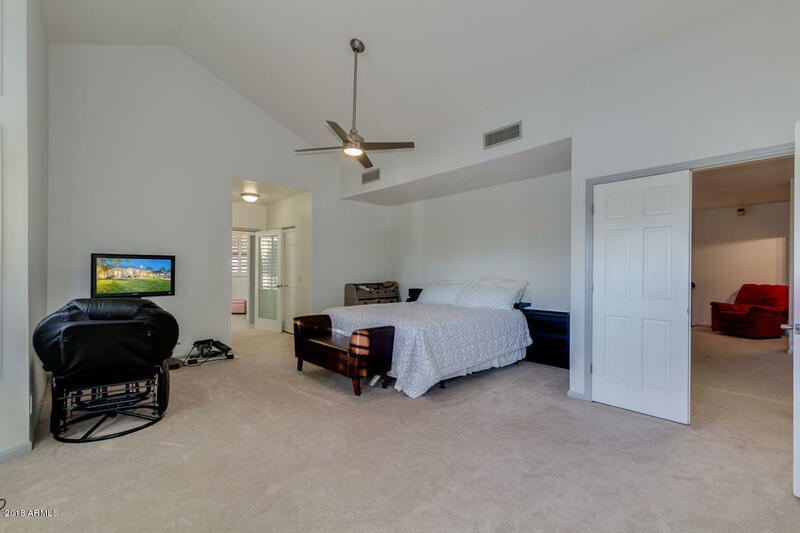 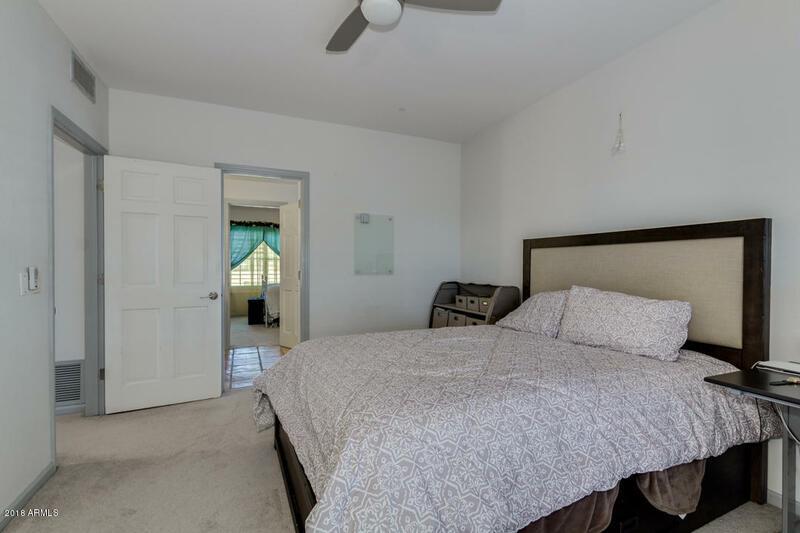 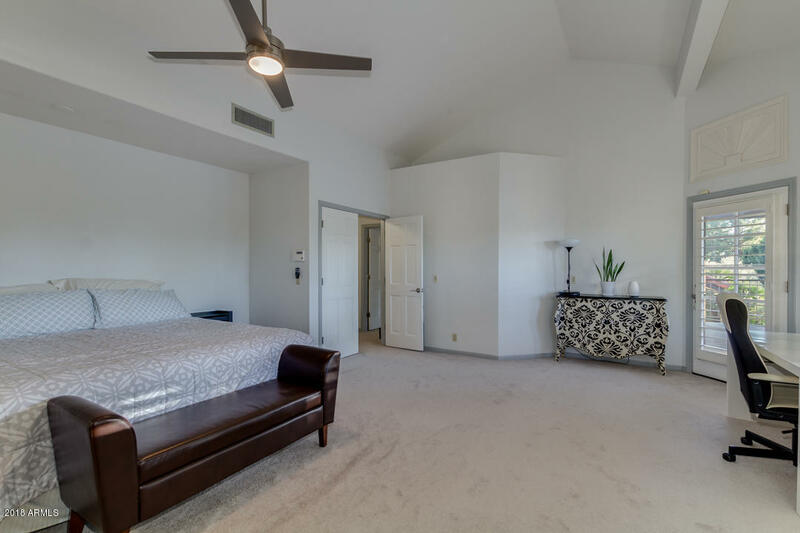 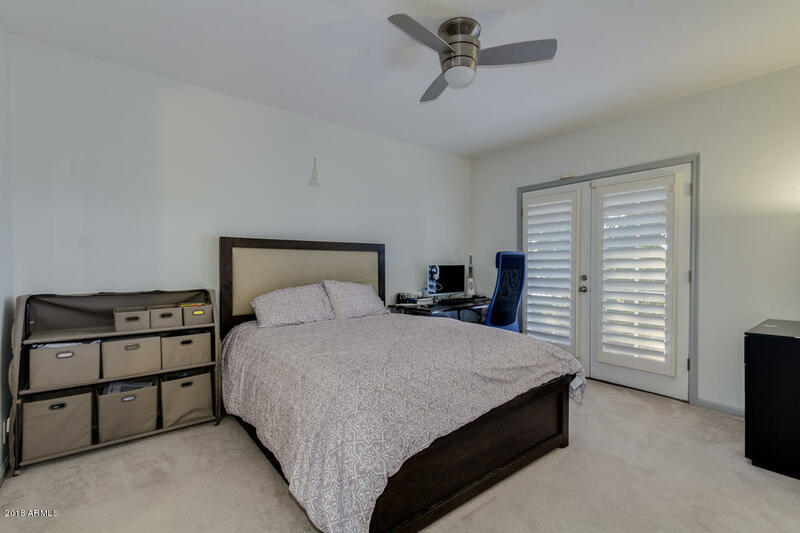 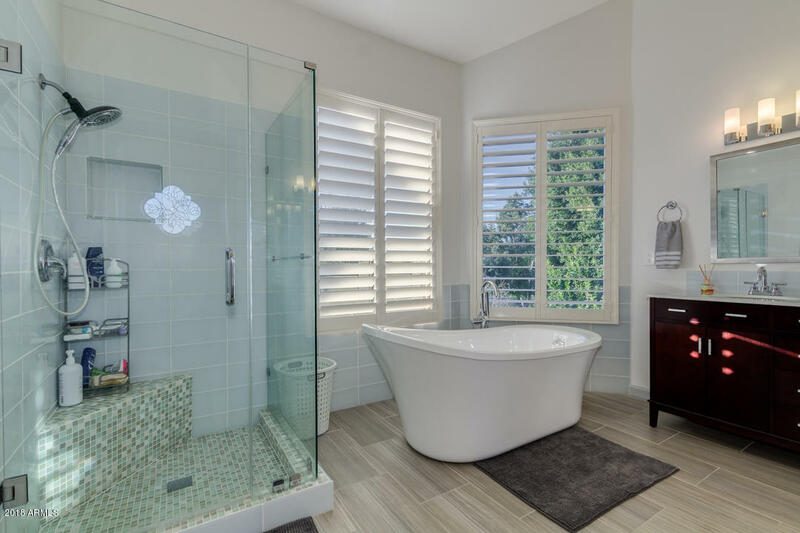 The large master bedroom features a sitting area with access to a big balcony and offers a luxurious master bath! 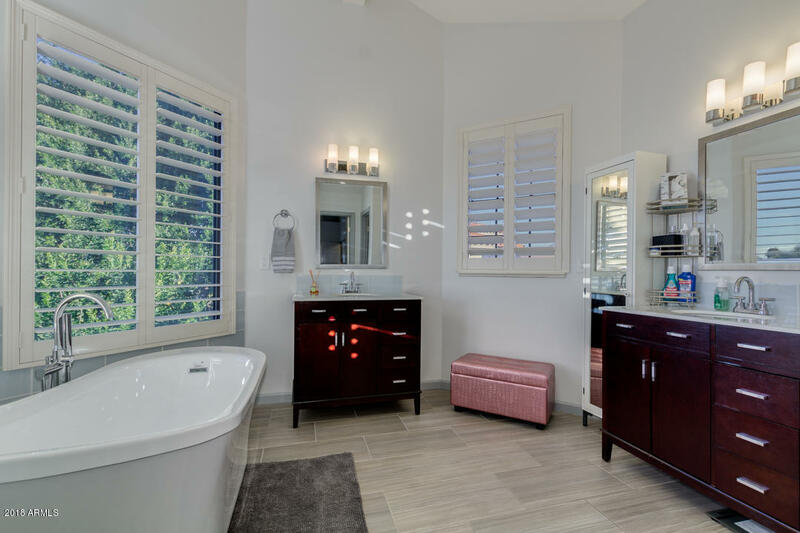 A Jack and Jill bath services the two other upstairs bedrooms. 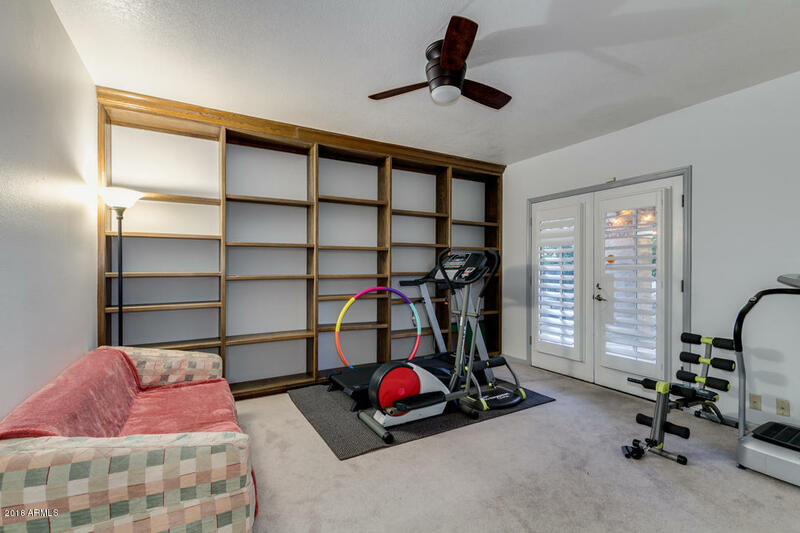 And, a study area in the loft too! 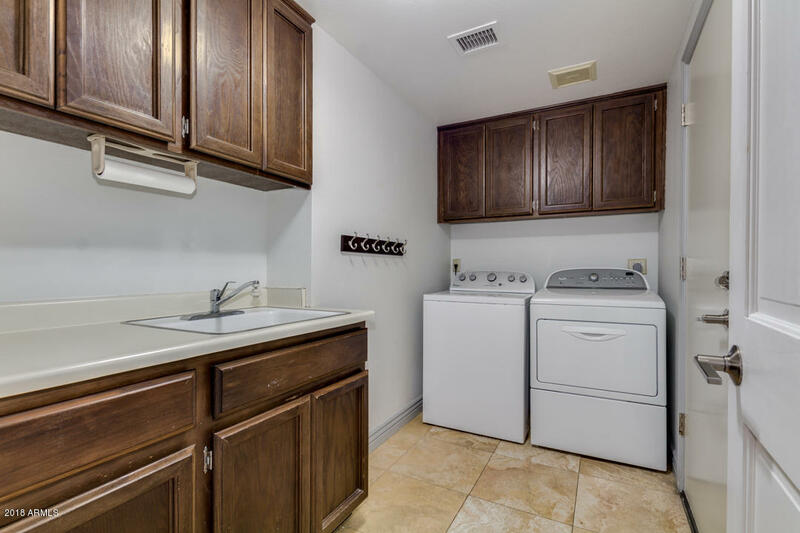 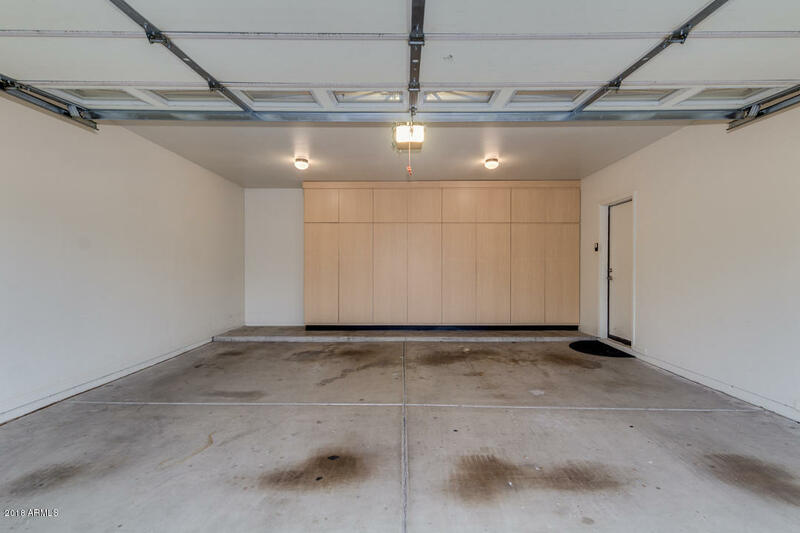 Lots of storage throughout the home and wall to wall cabinets in garage!